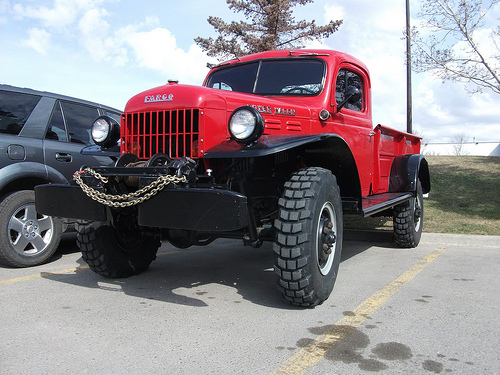 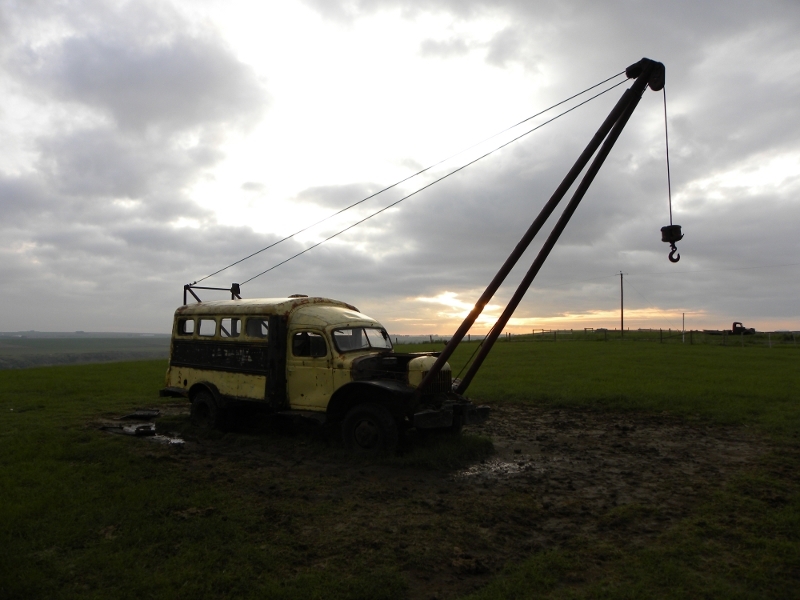 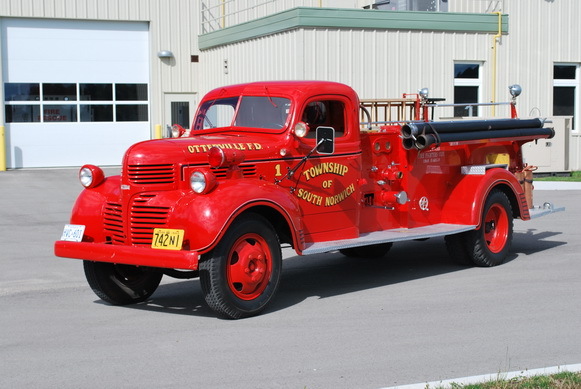 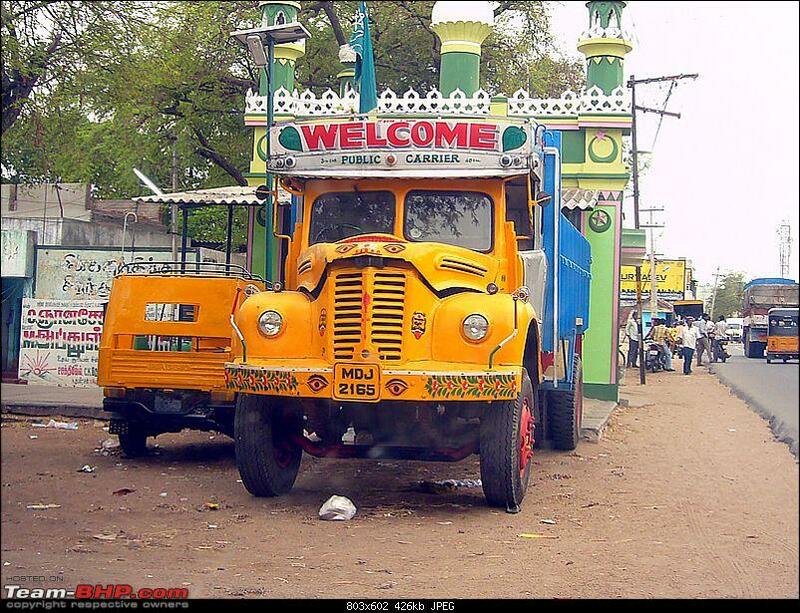 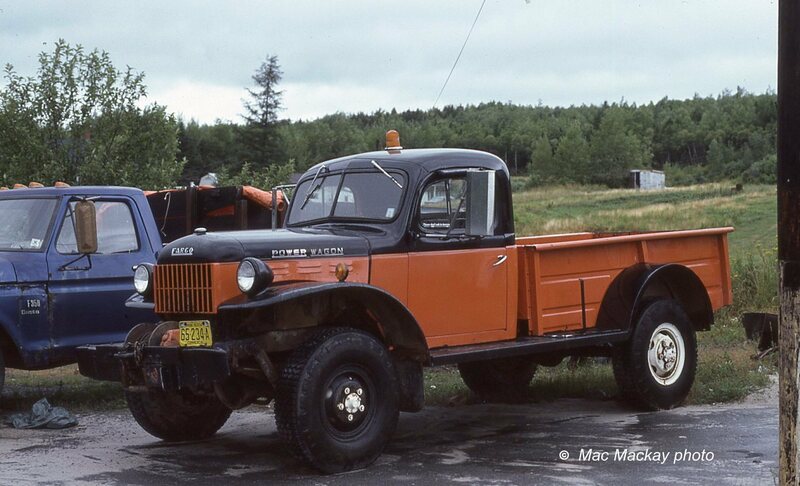 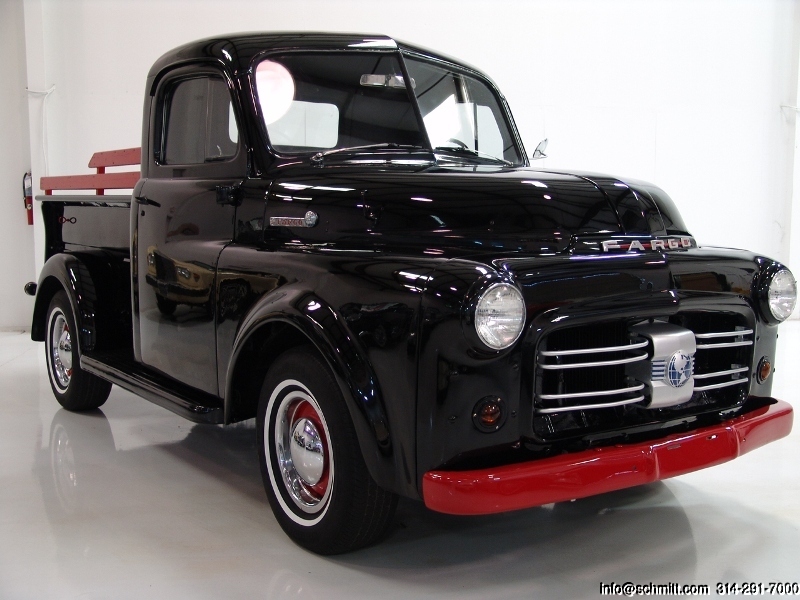 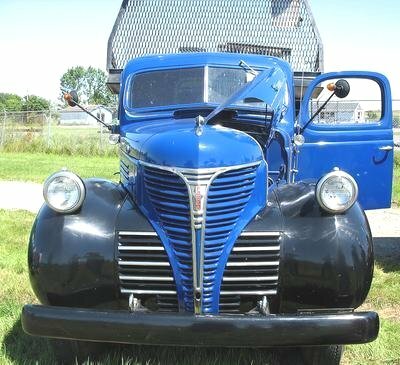 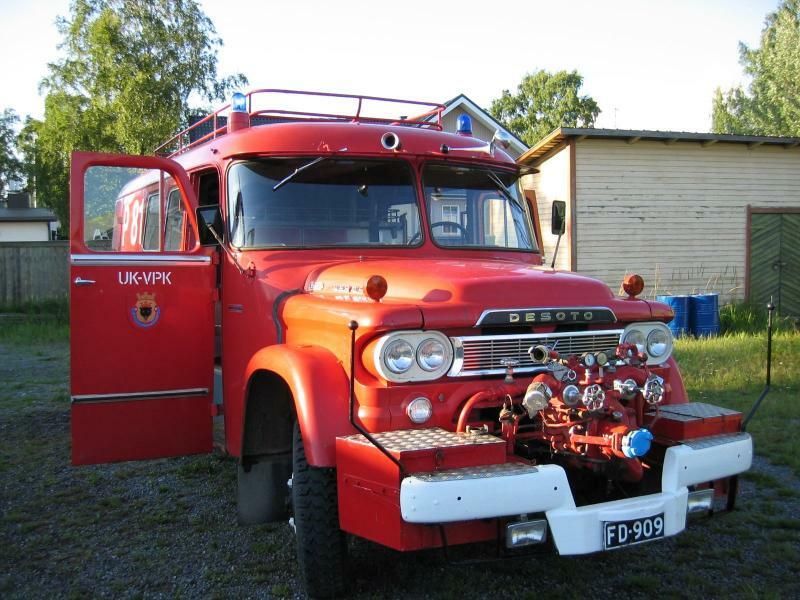 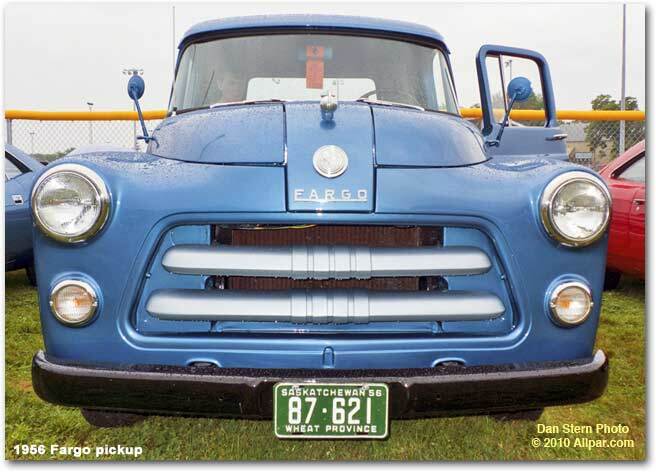 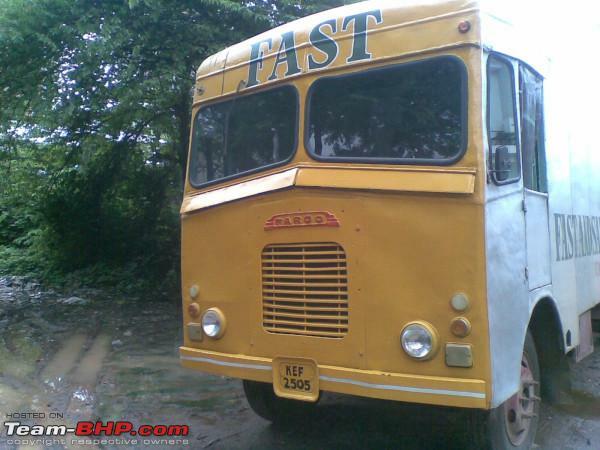 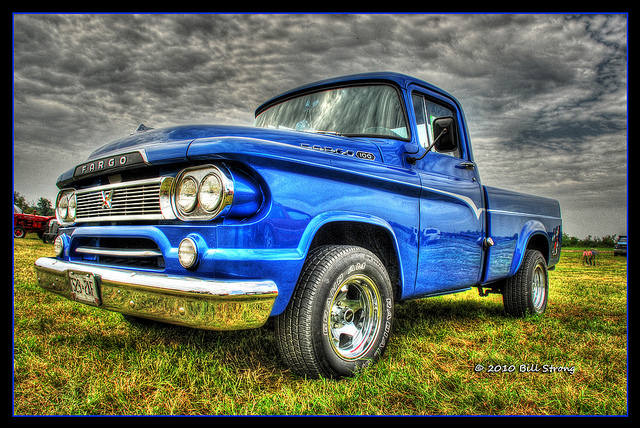 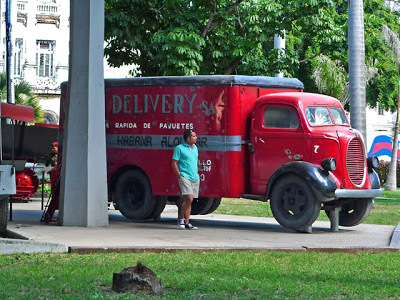 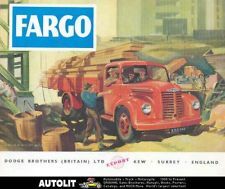 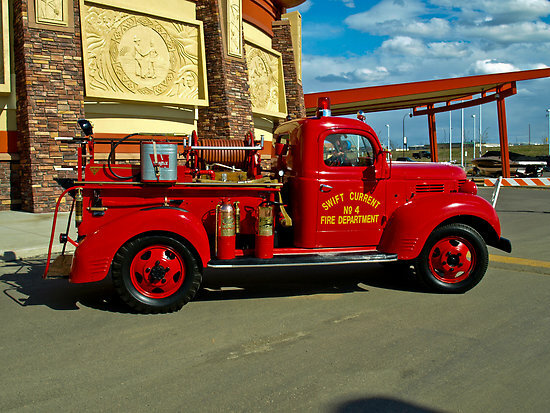 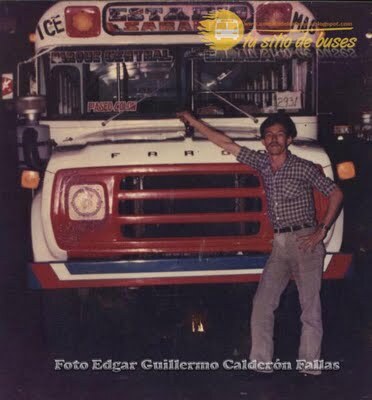 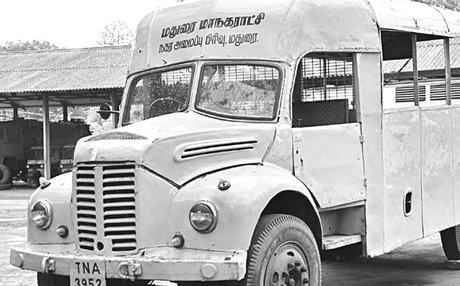 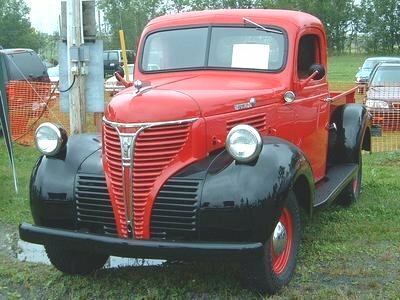 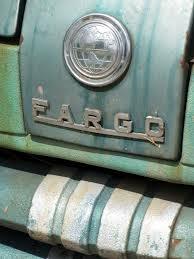 Fargo was a brand of truck manufactured by the Chrysler Corporation. 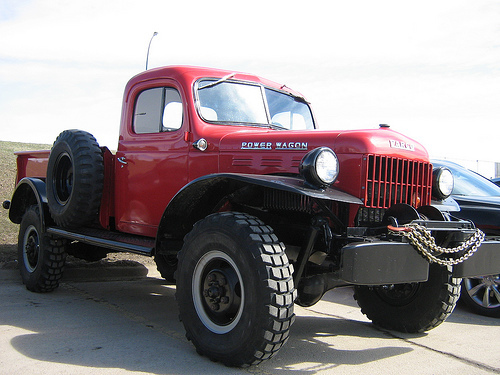 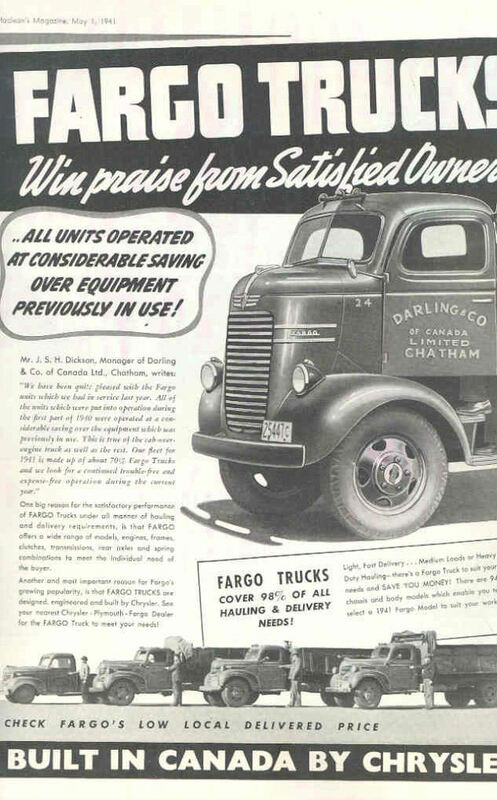 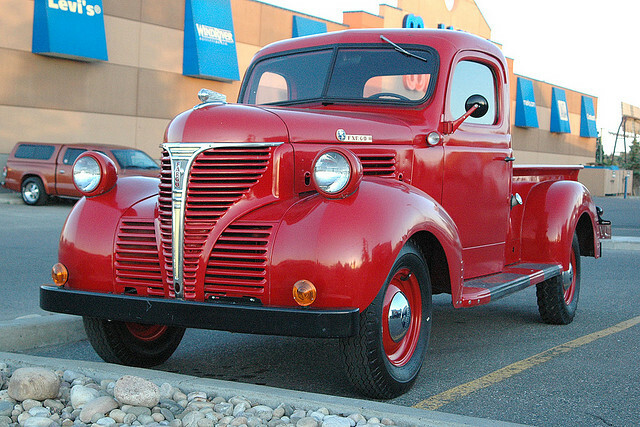 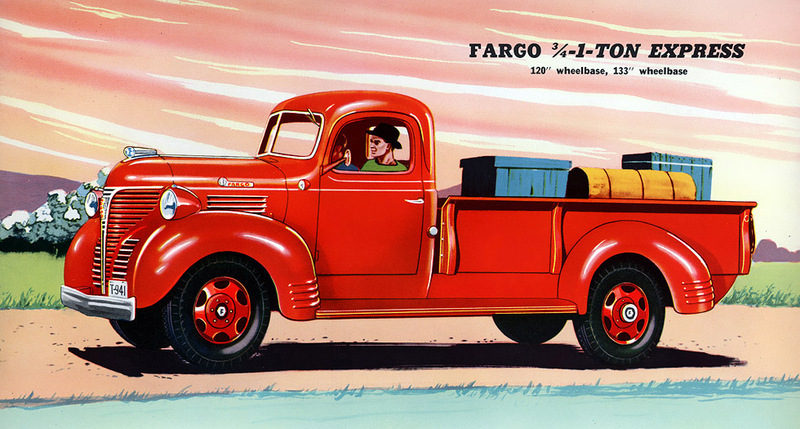 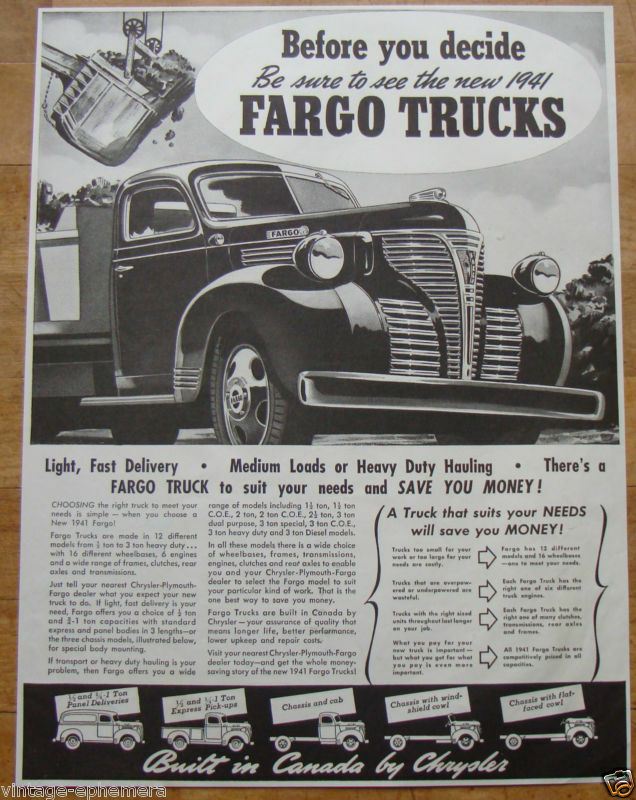 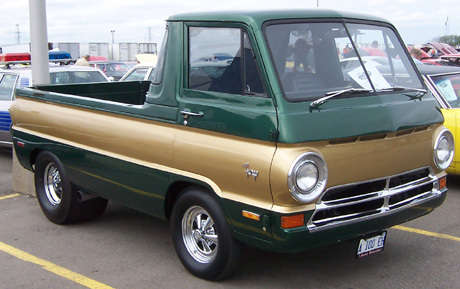 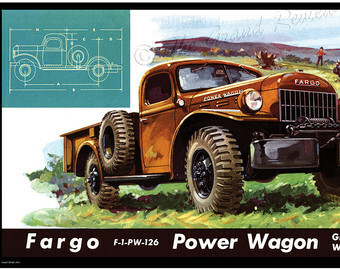 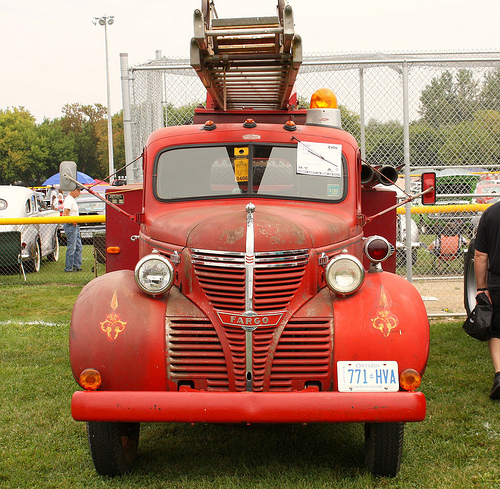 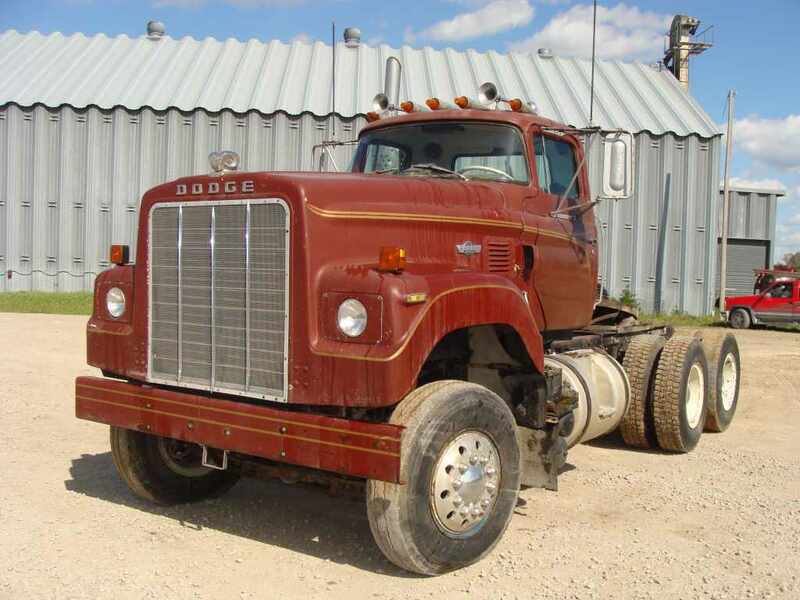 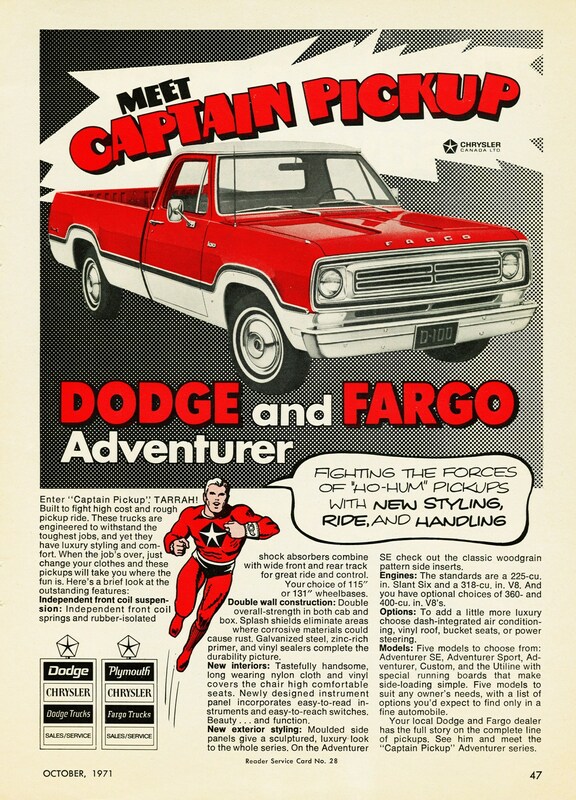 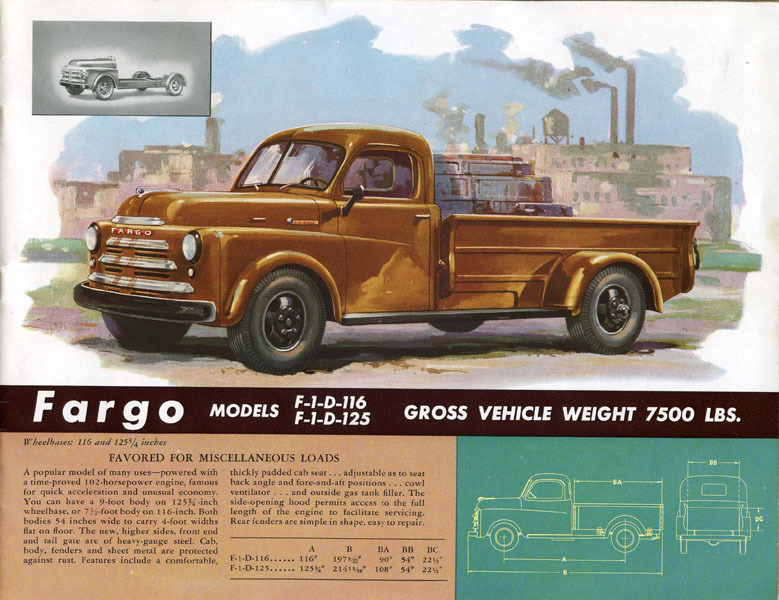 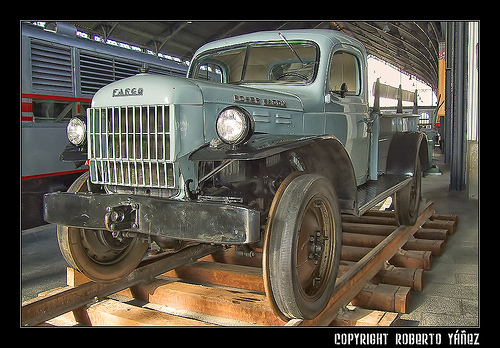 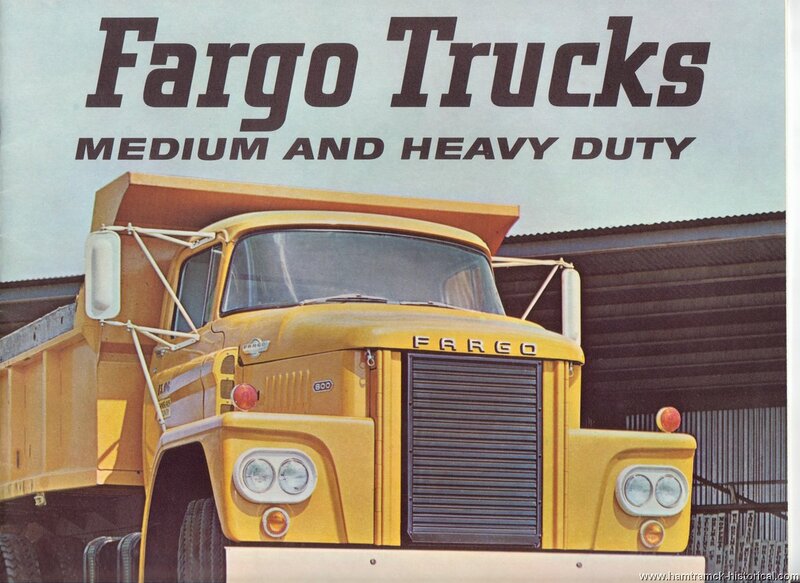 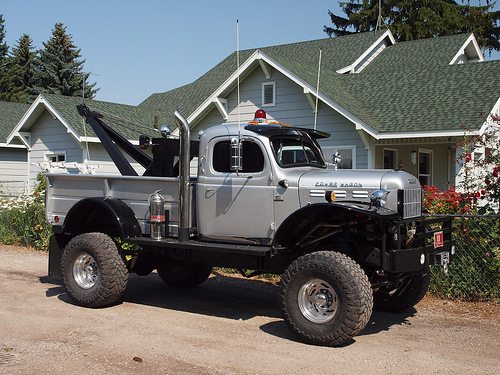 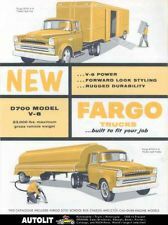 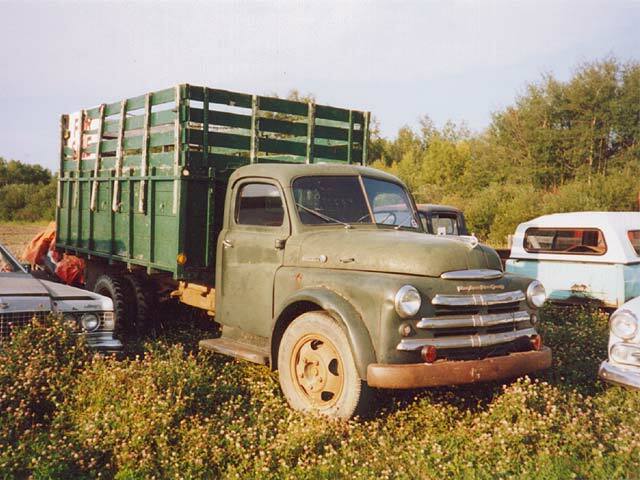 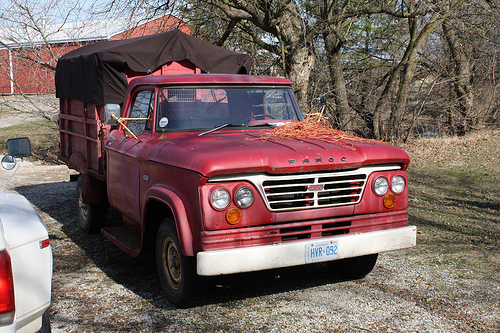 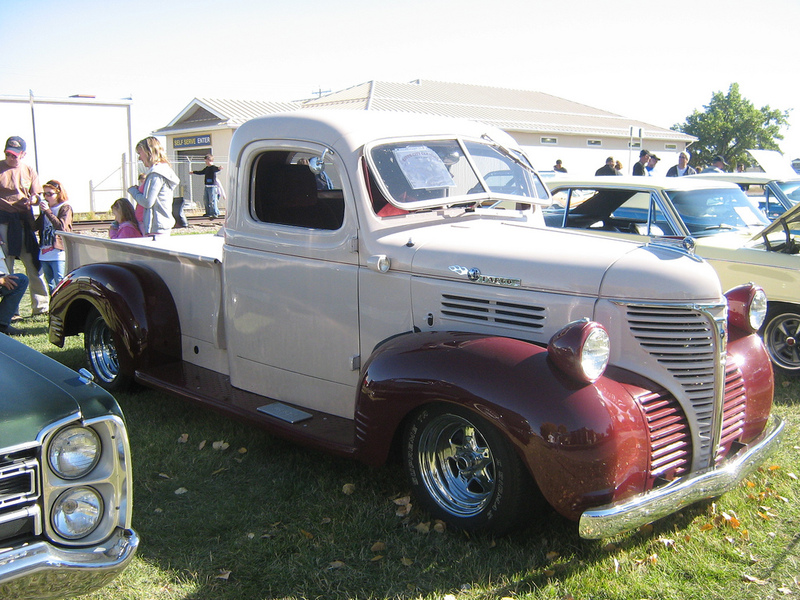 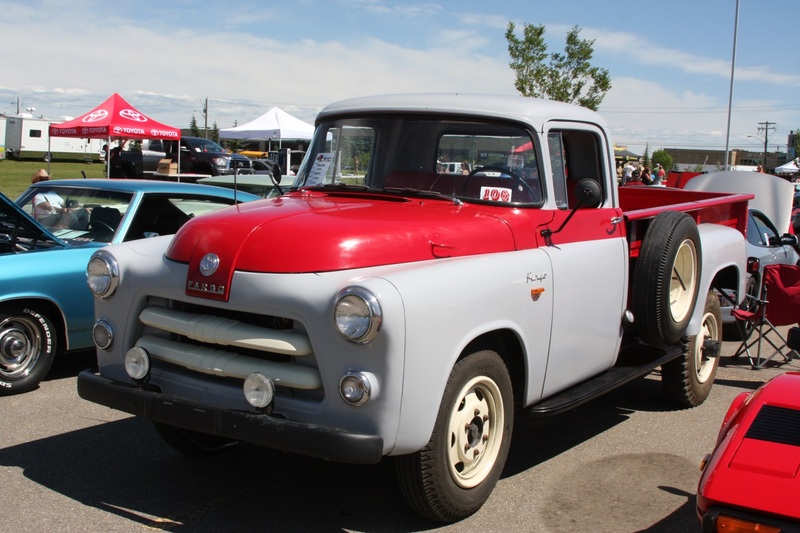 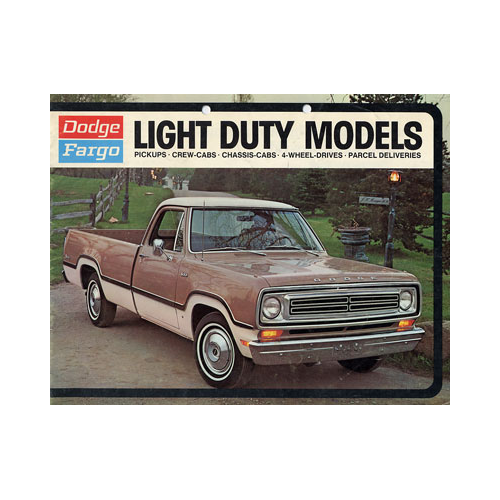 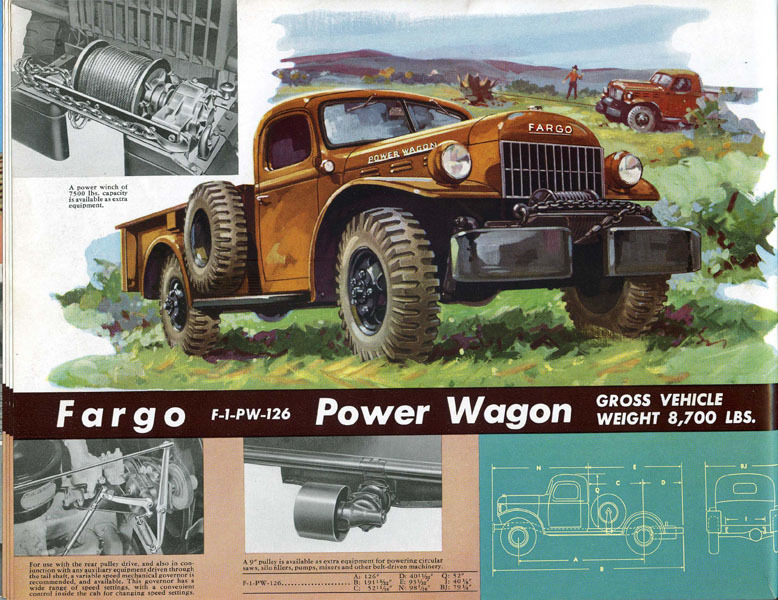 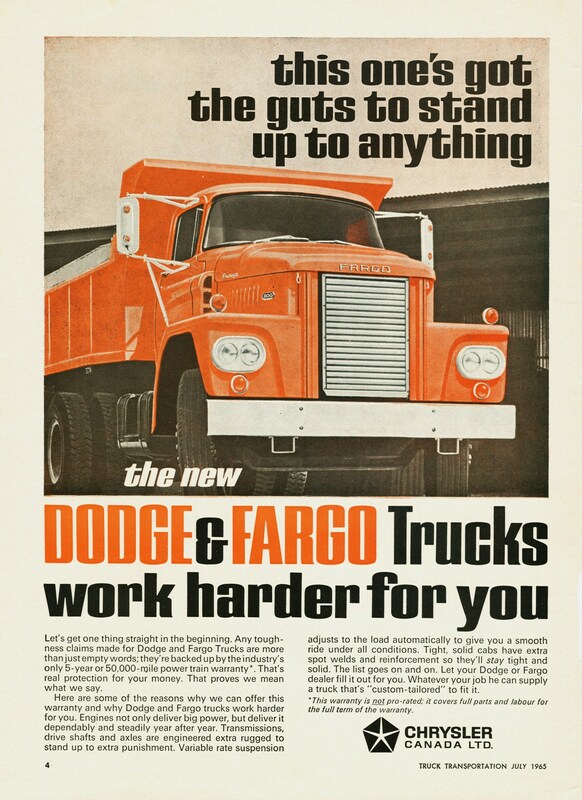 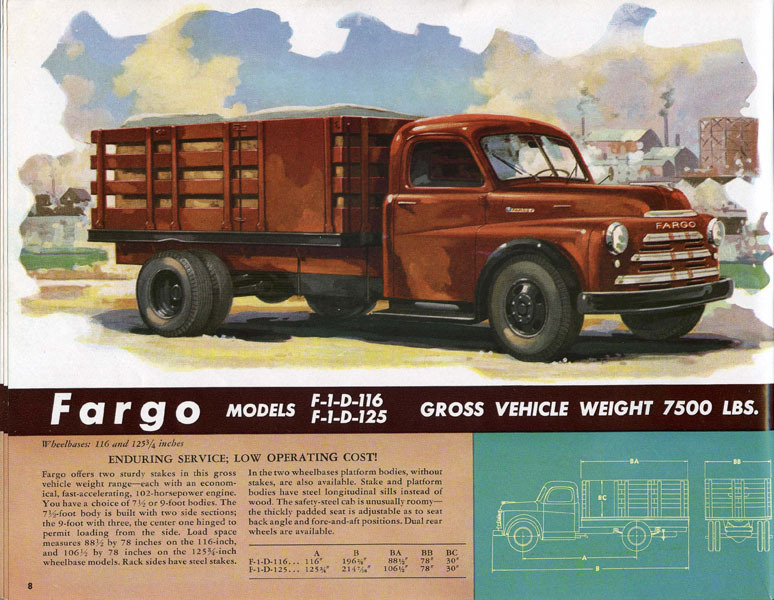 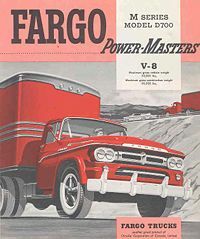 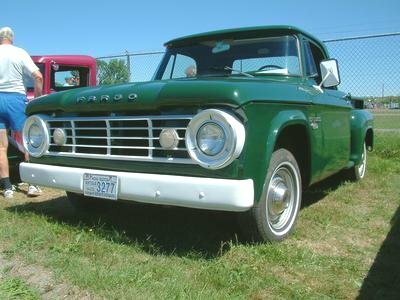 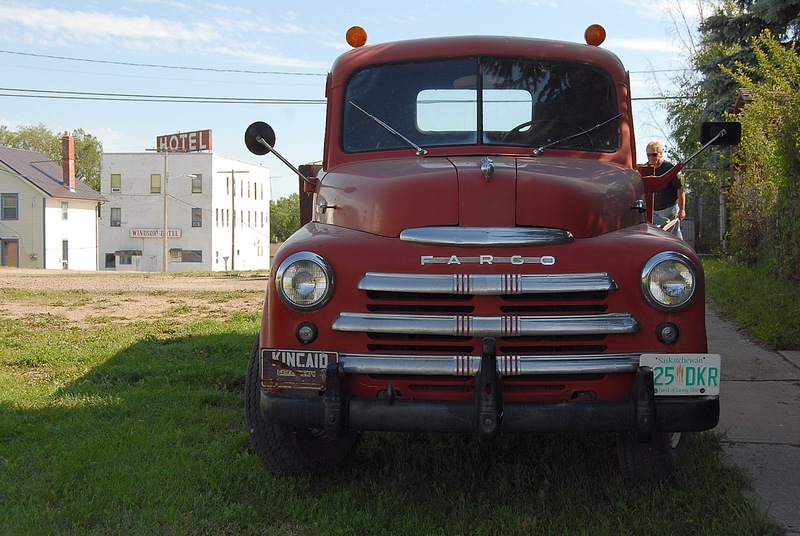 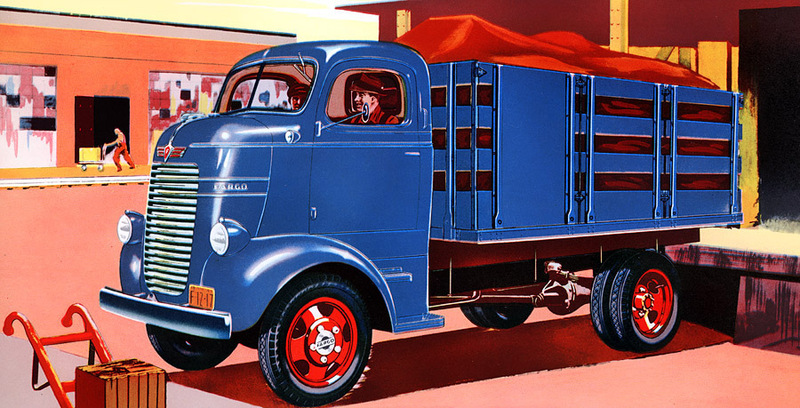 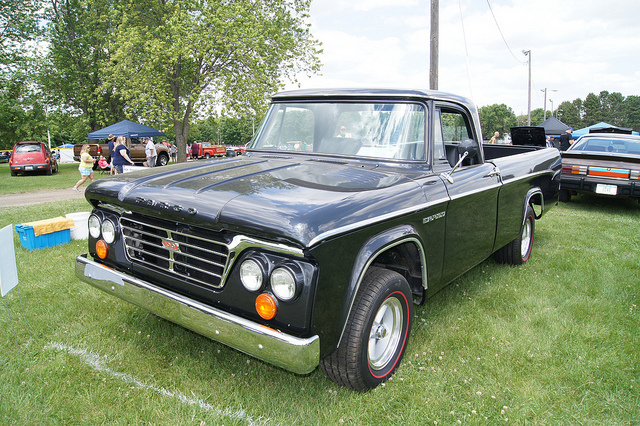 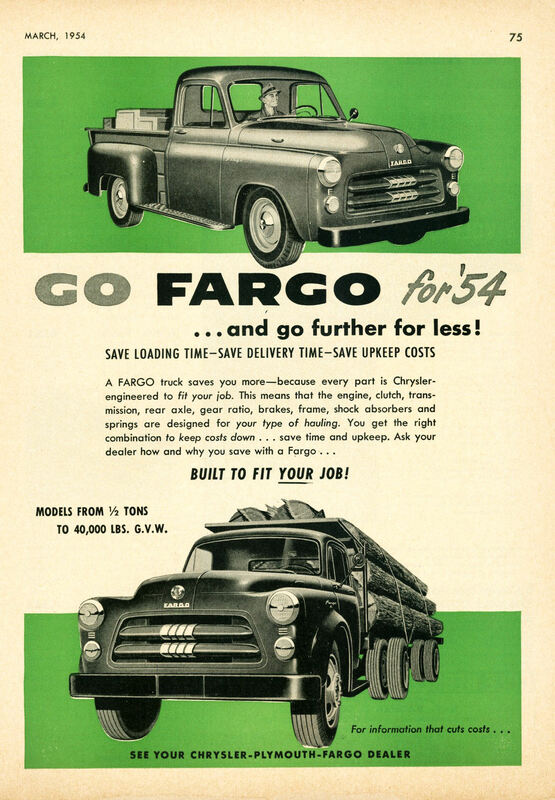 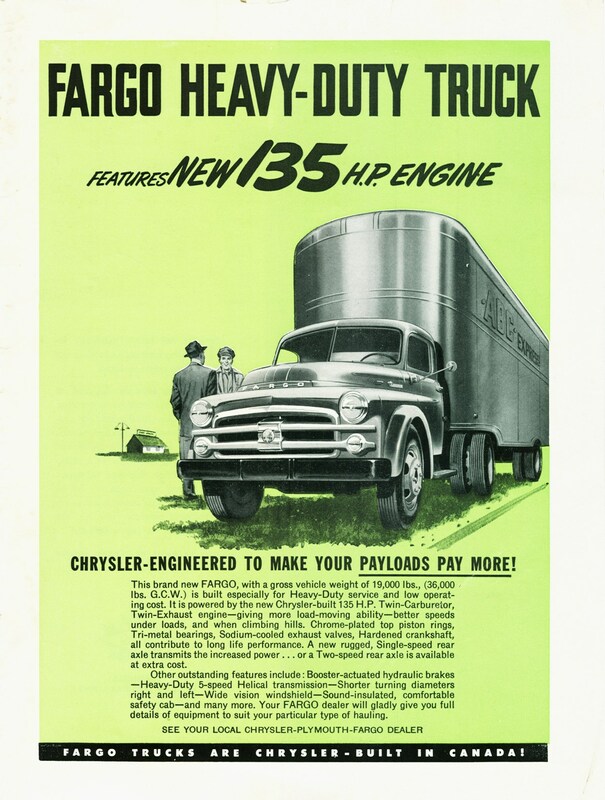 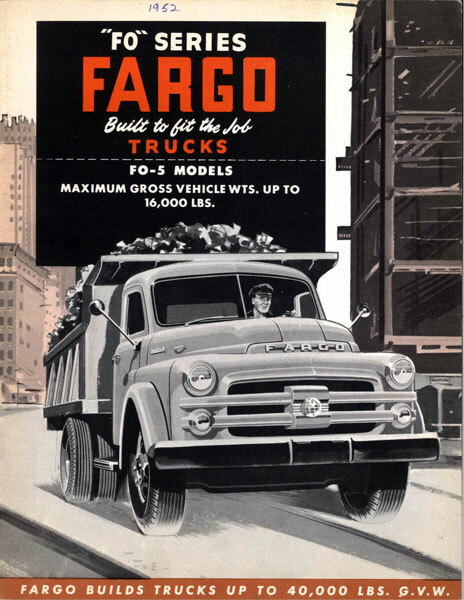 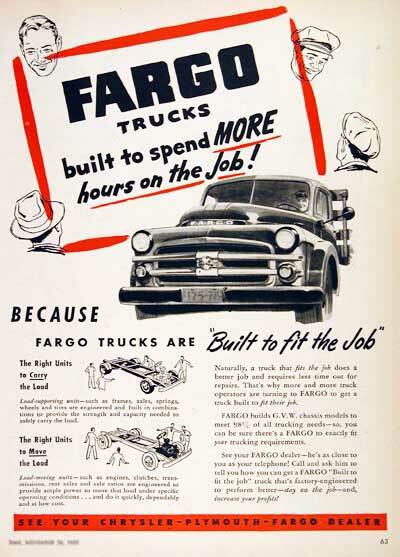 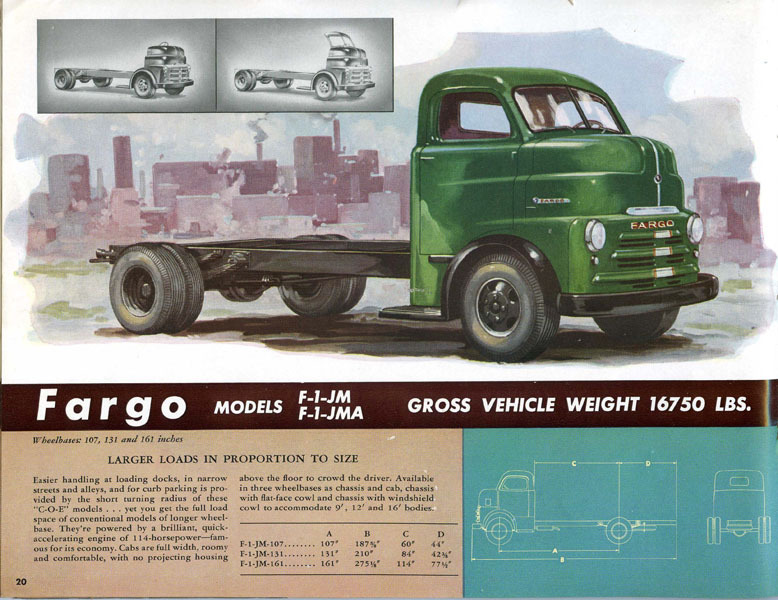 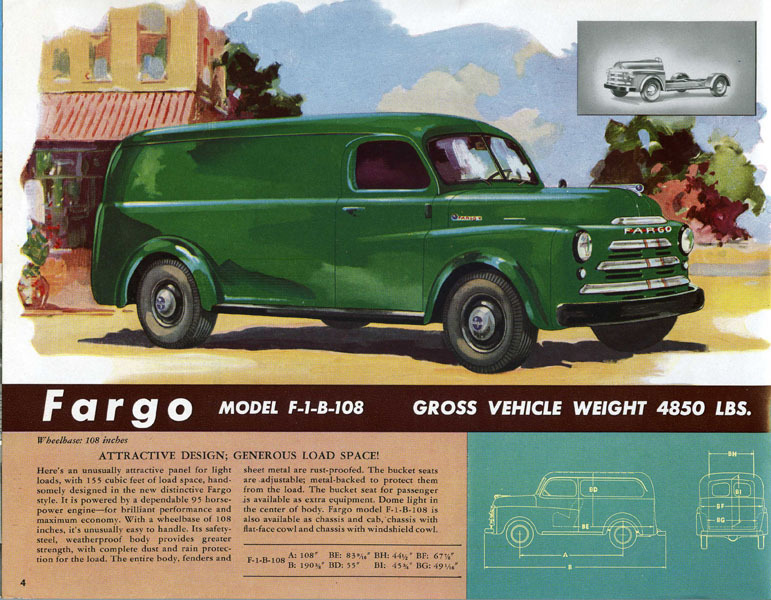 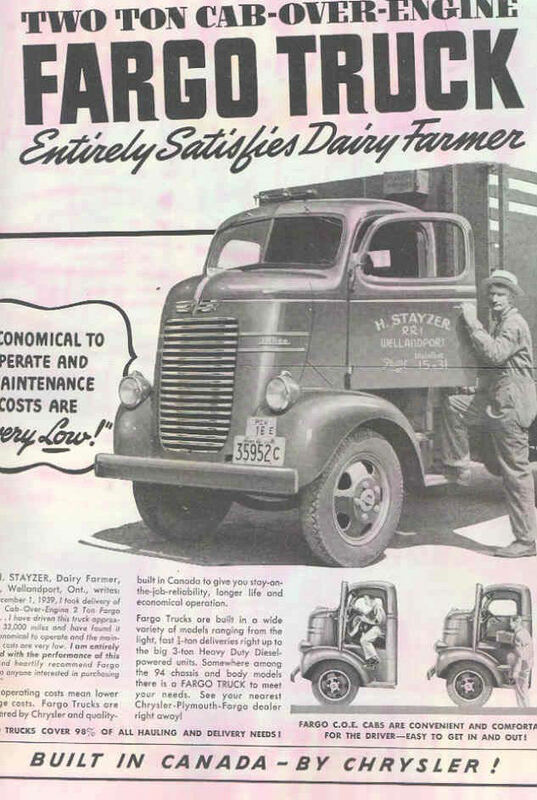 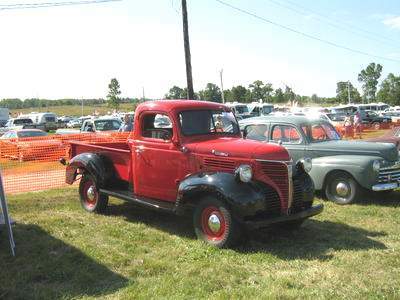 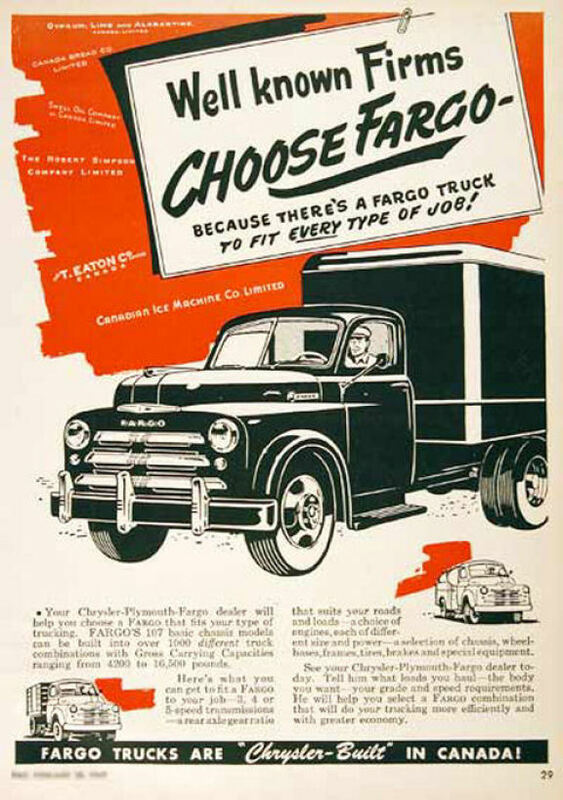 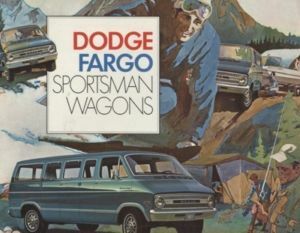 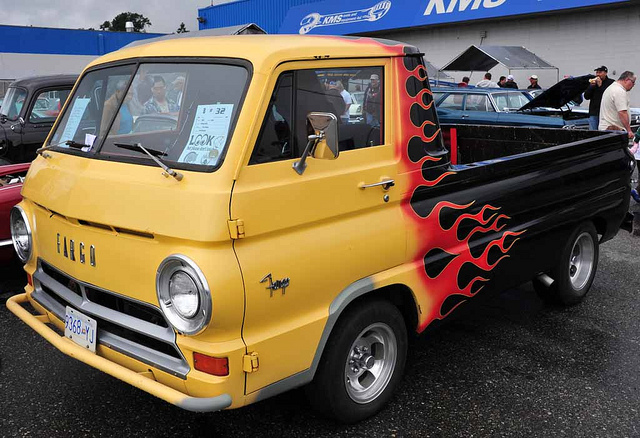 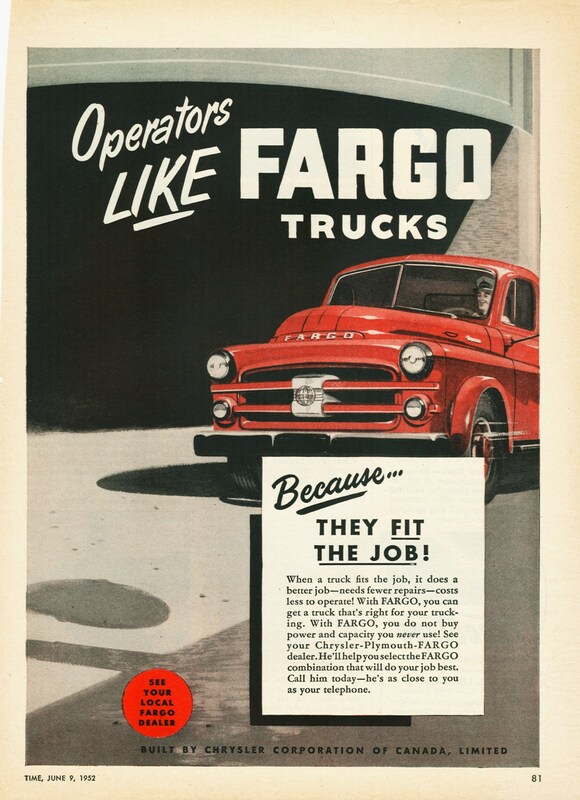 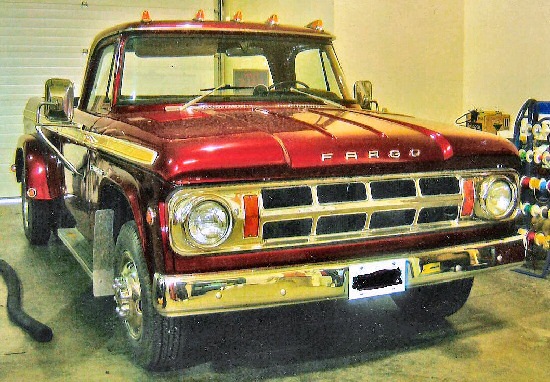 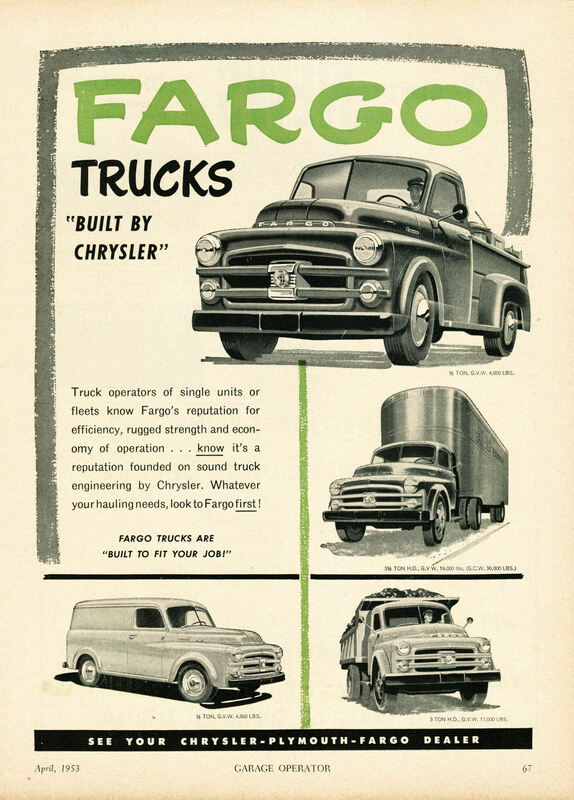 In general terms, Fargo trucks were a mere rebadging of Dodge trucks models. 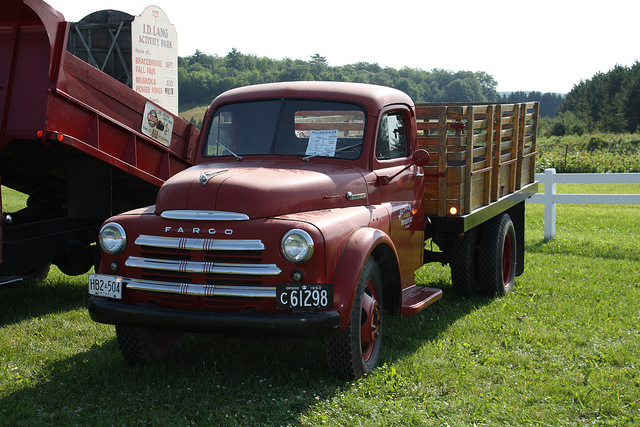 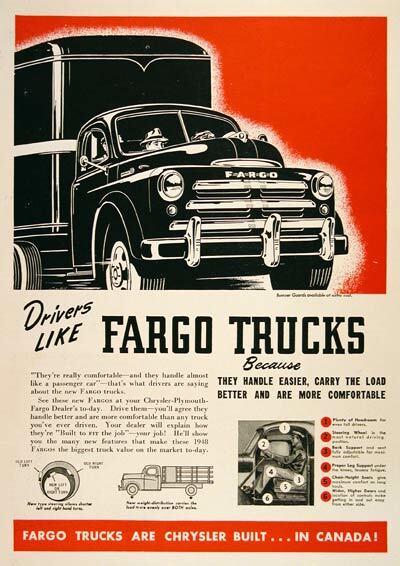 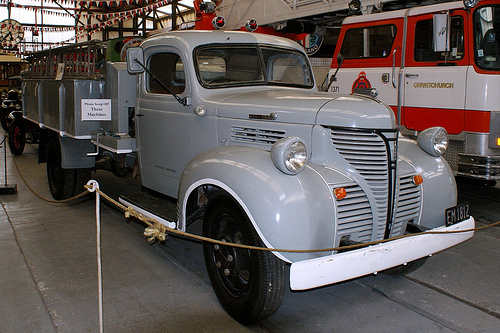 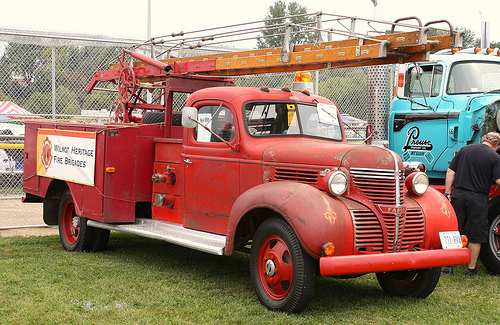 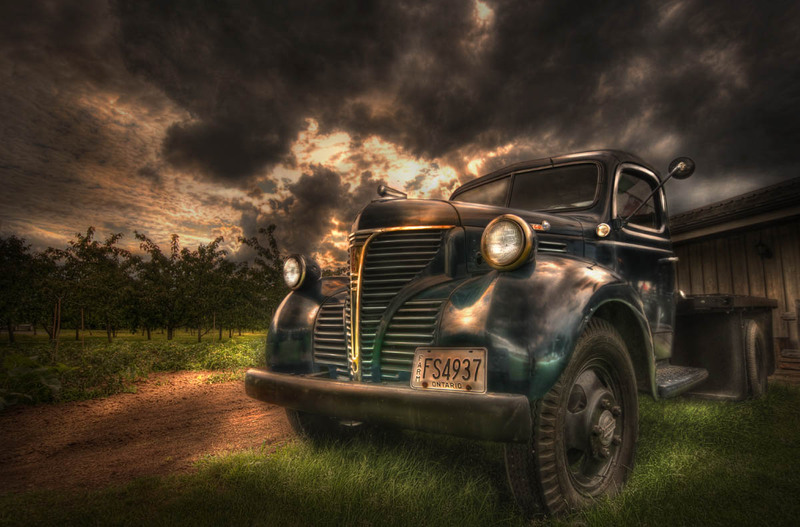 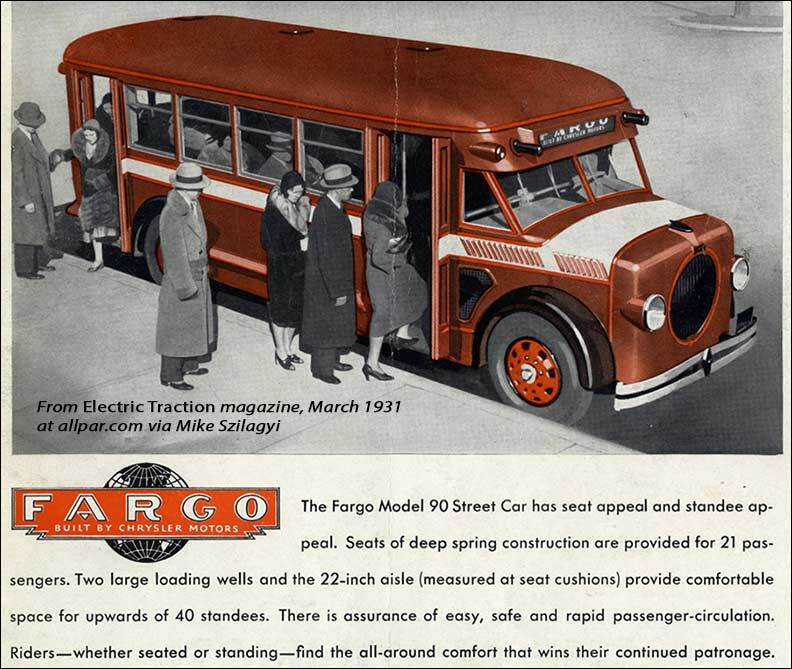 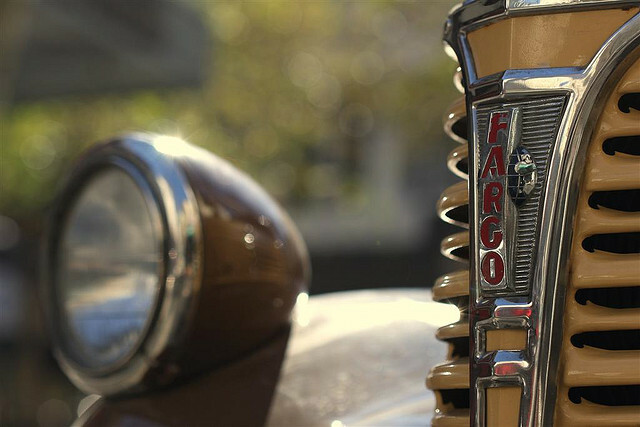 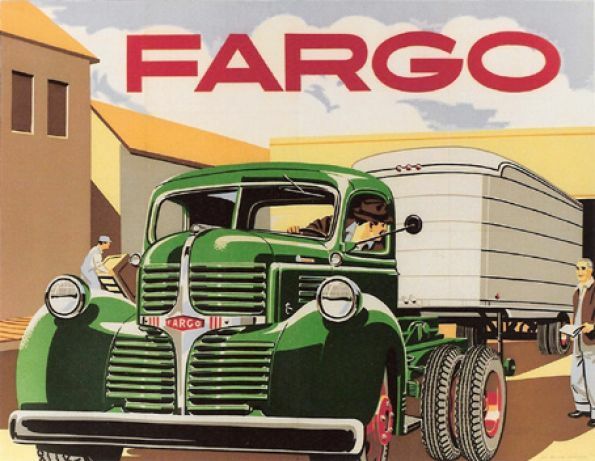 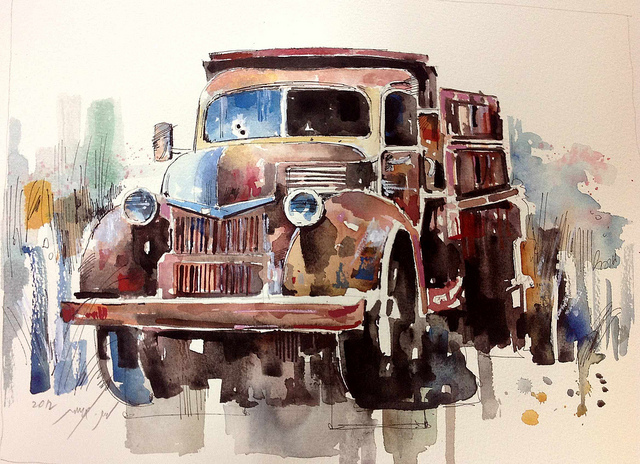 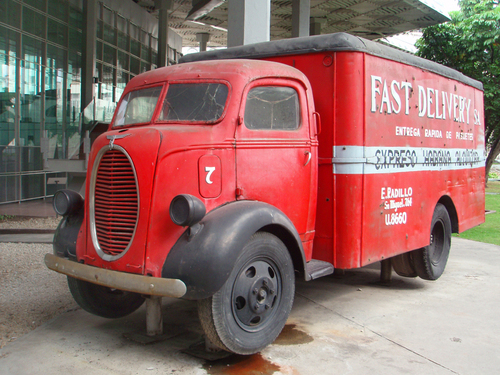 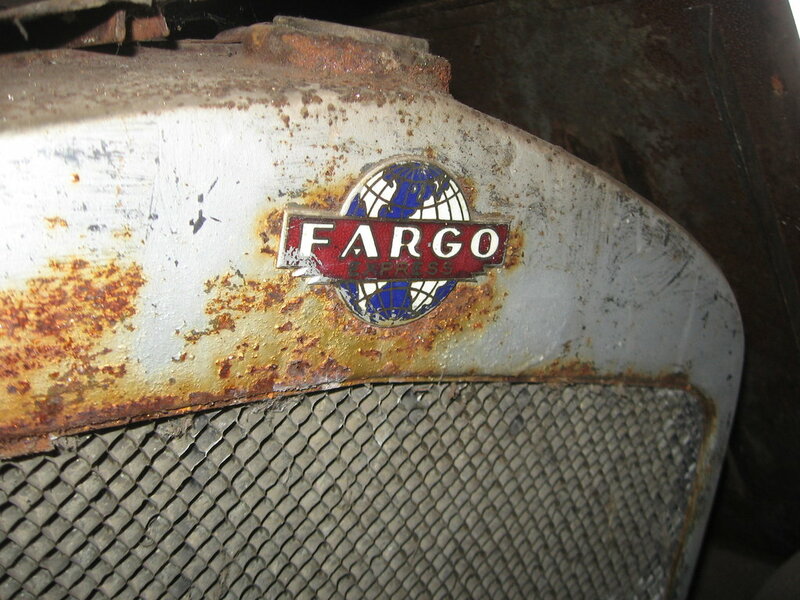 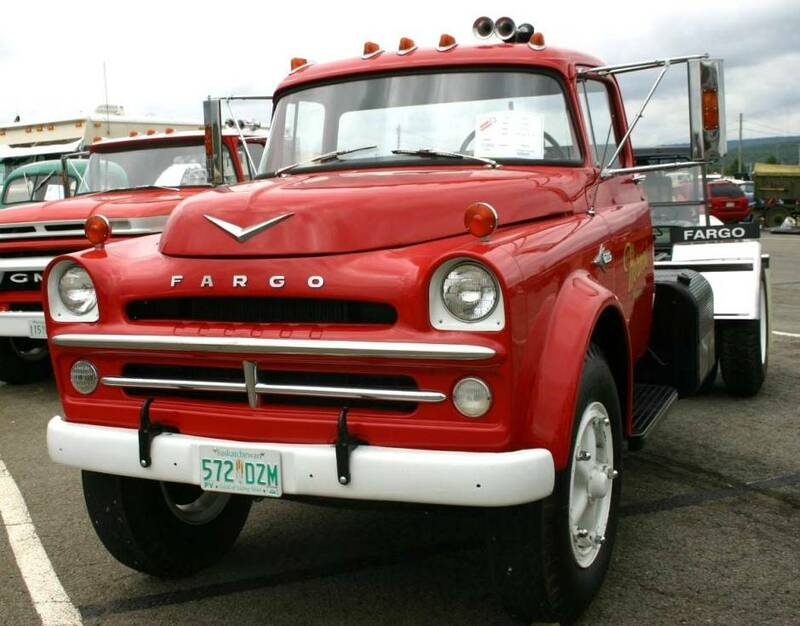 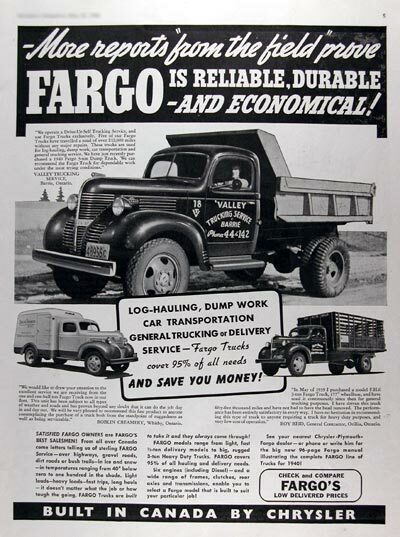 The first Fargo trucks were built in Chicago by the Fargo Motor Car Company from 1913 until 1922. 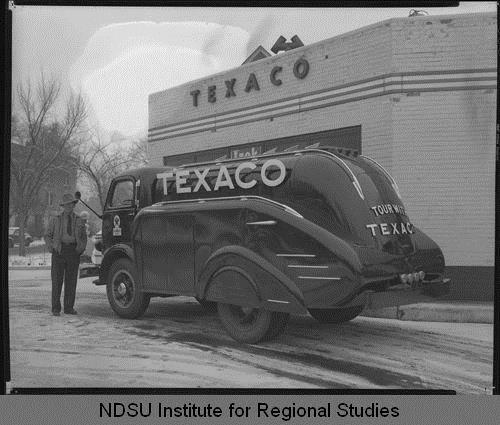 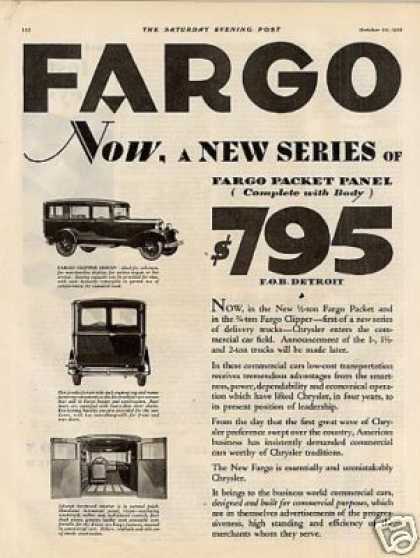 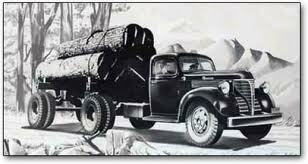 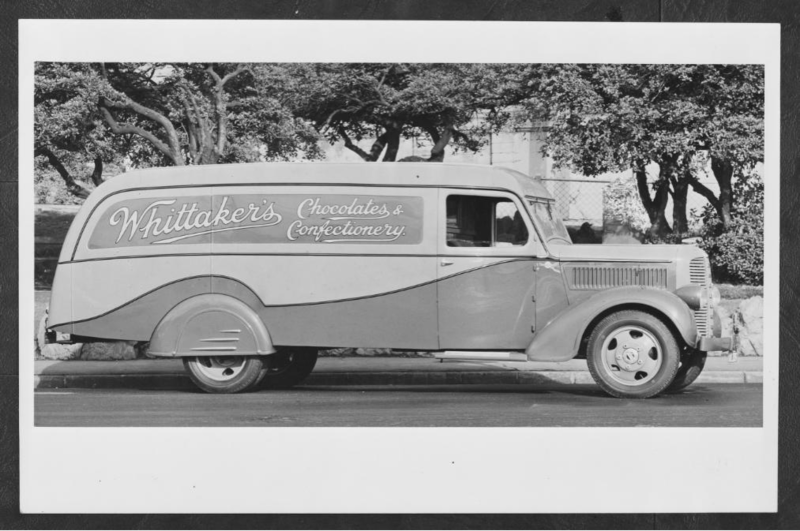 In 1928 Chrysler bought the business and created their own line of Fargo trucks. 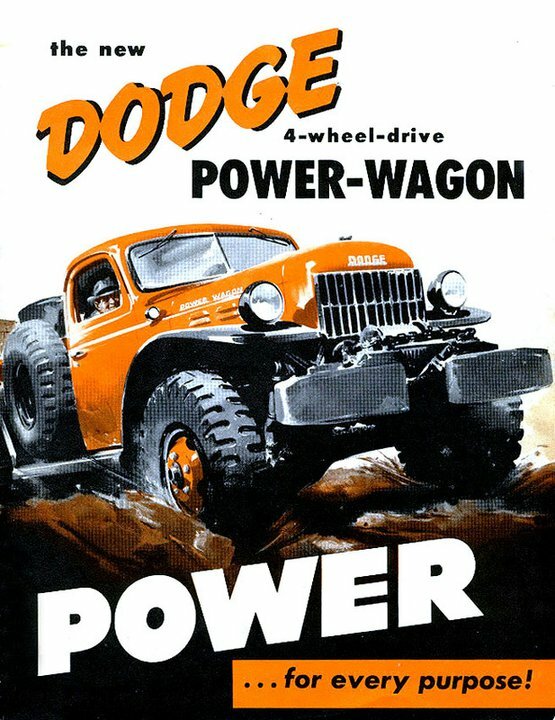 Shortly after its creation, Chrysler bought too the Dodge Brothers Company, adding Dodge and Graham Brothers badged trucks to its product line. 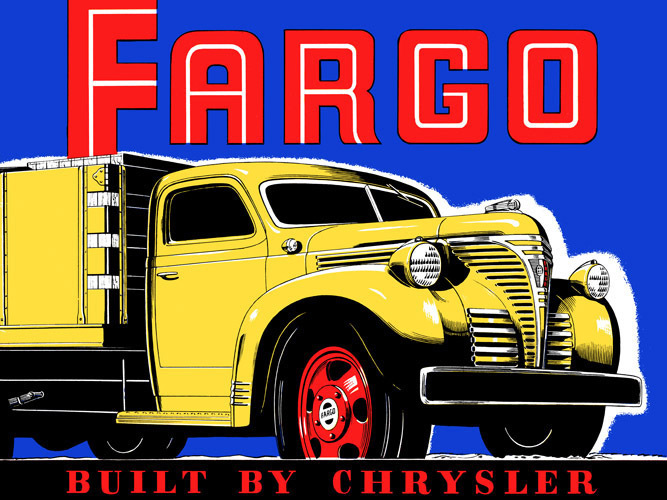 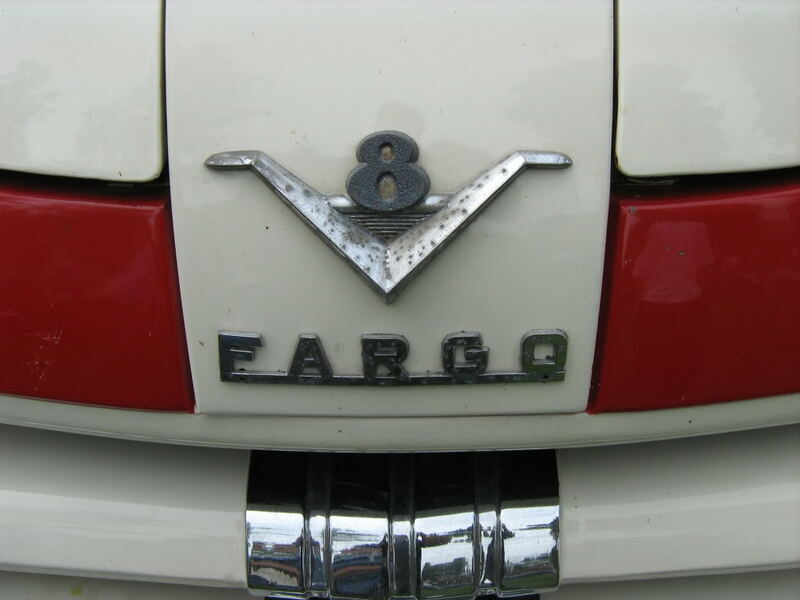 U.S. sales were discontinued in the 1930, but the name Fargo was used until 1972 for Canada, and lived longer for other countries around the world under the Chrysler Corporation’s badge engineering marketing approach. 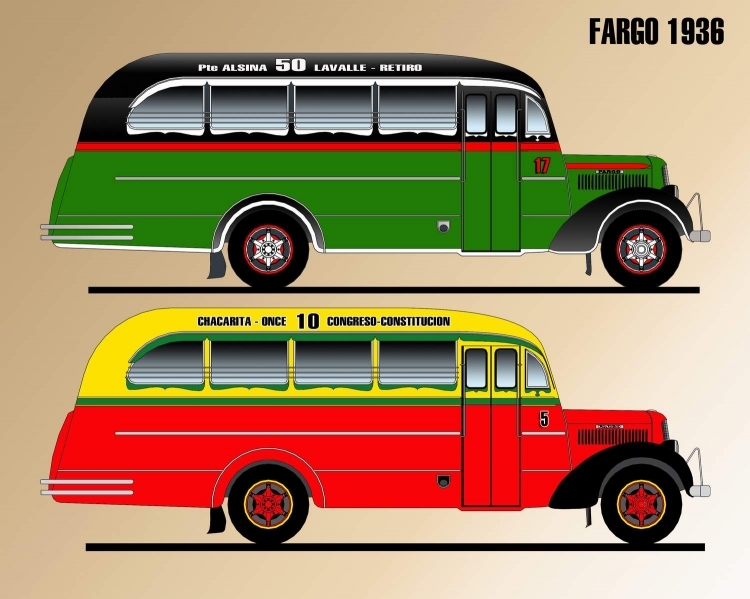 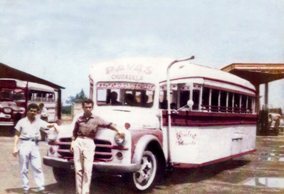 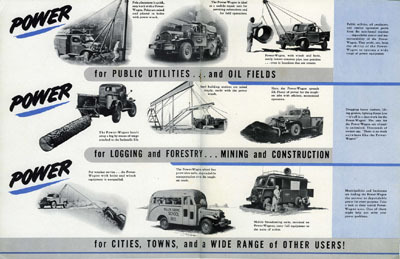 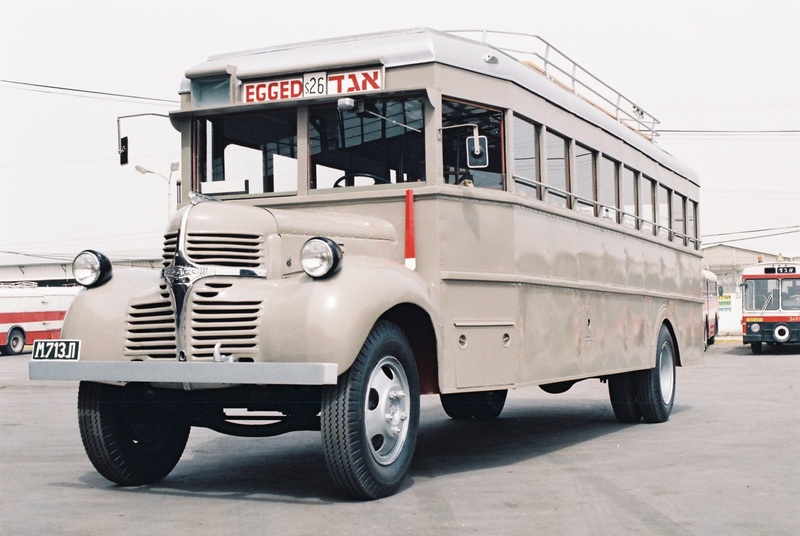 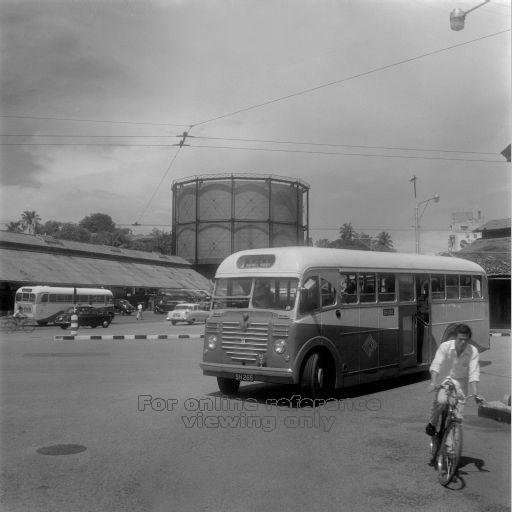 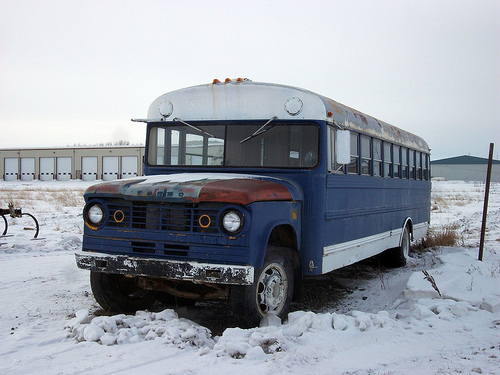 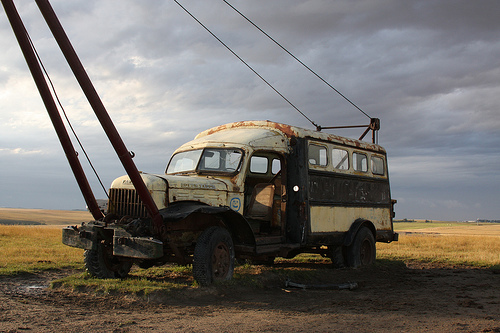 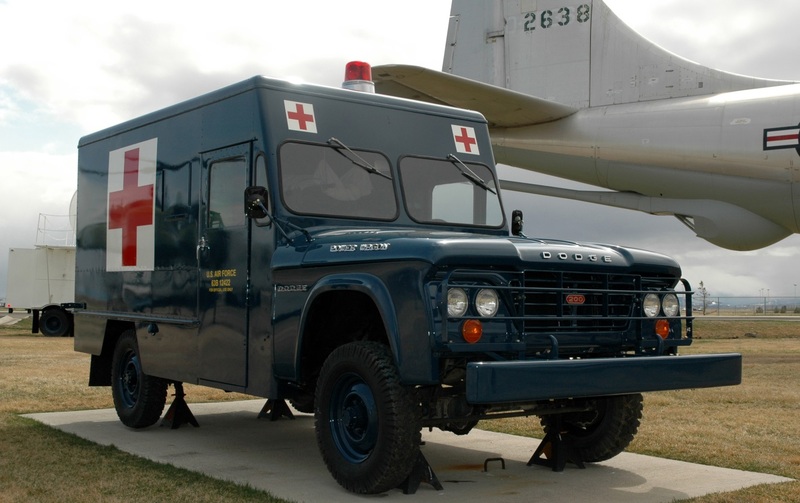 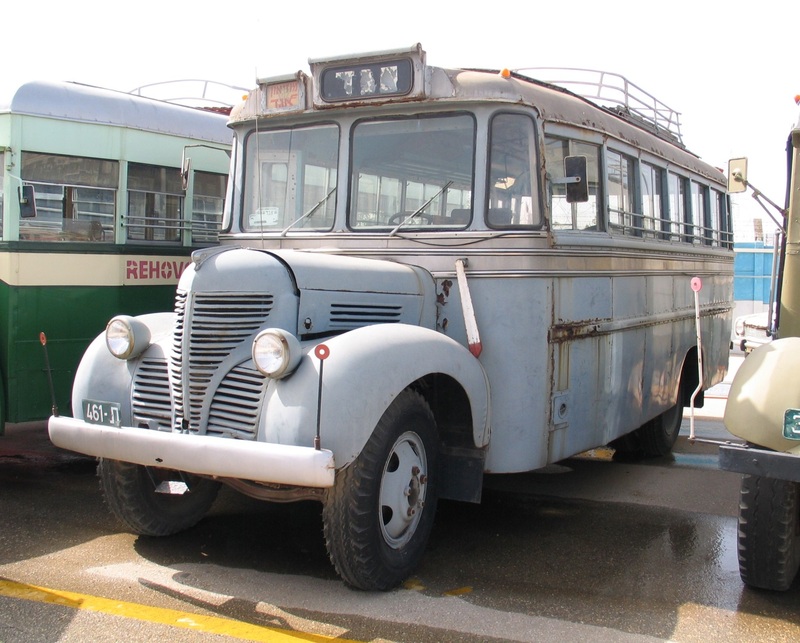 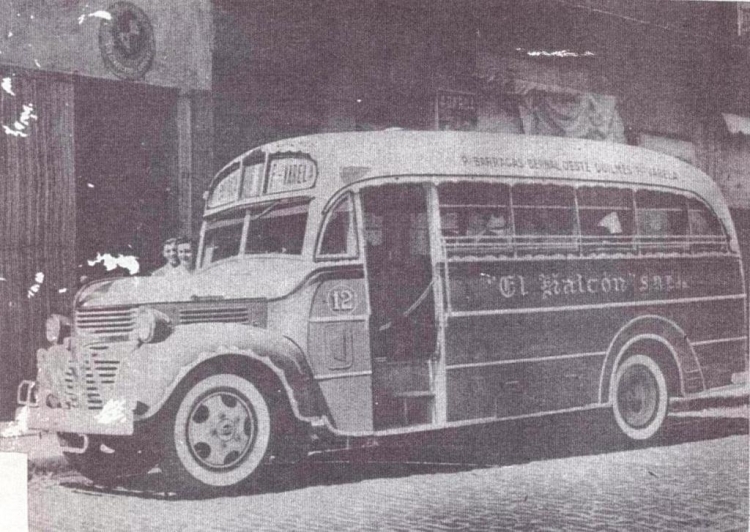 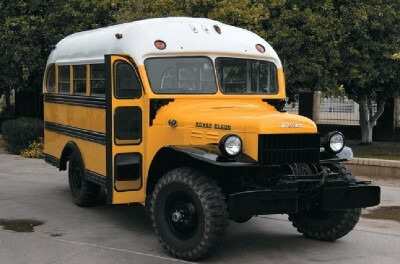 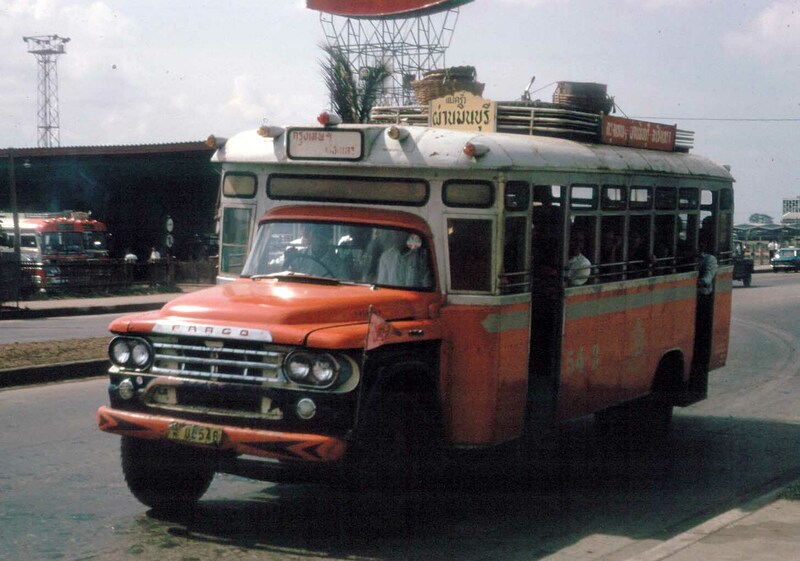 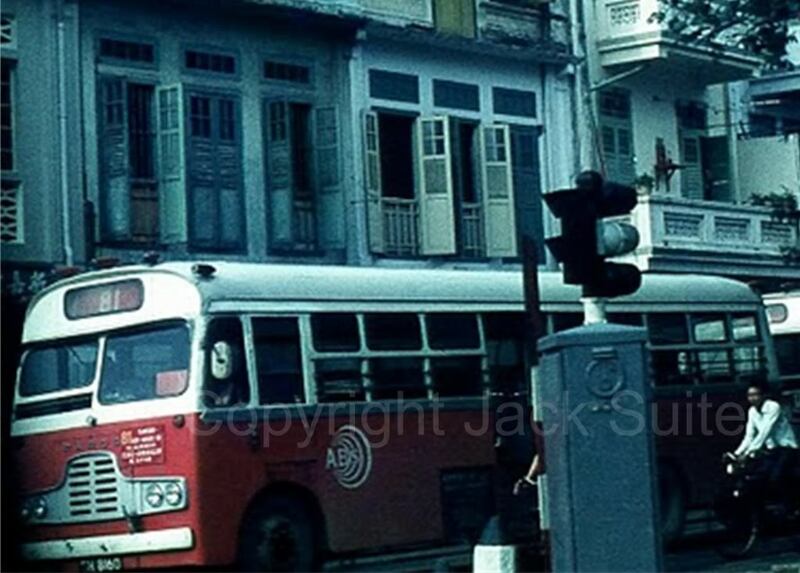 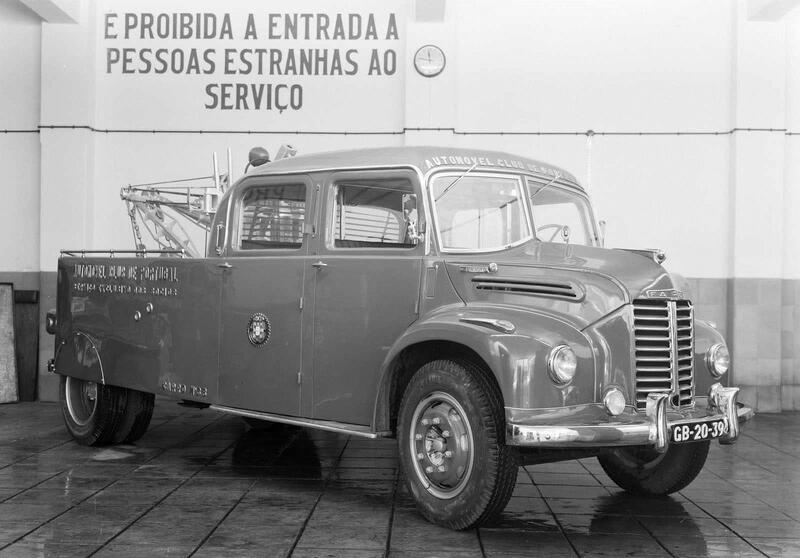 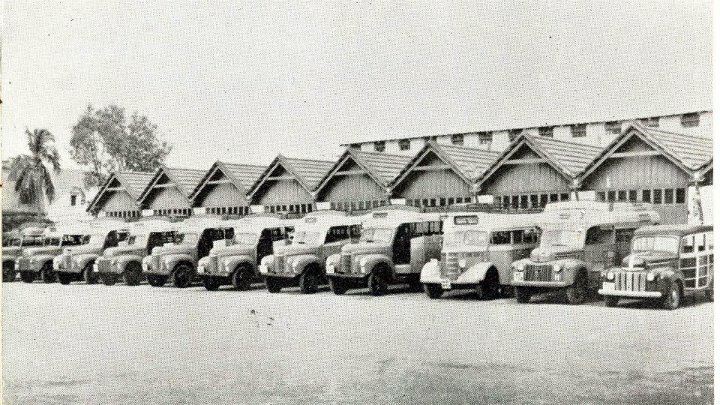 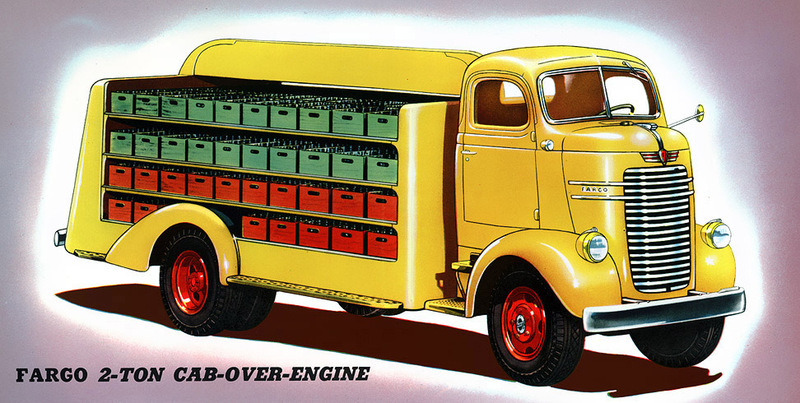 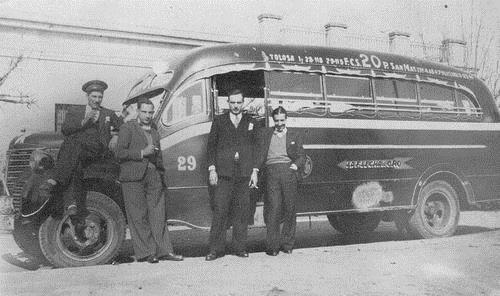 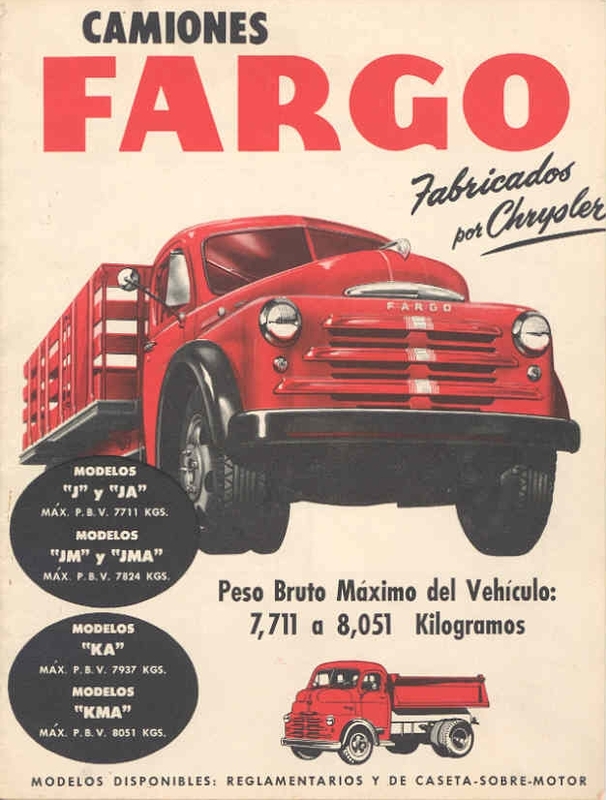 Most of the Fargo trucks and bus chassis sold in Argentina, Finland, Australia, India, and other countries in Europe and Asia were made in Chrysler’s Kew (UK) plant. 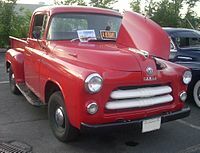 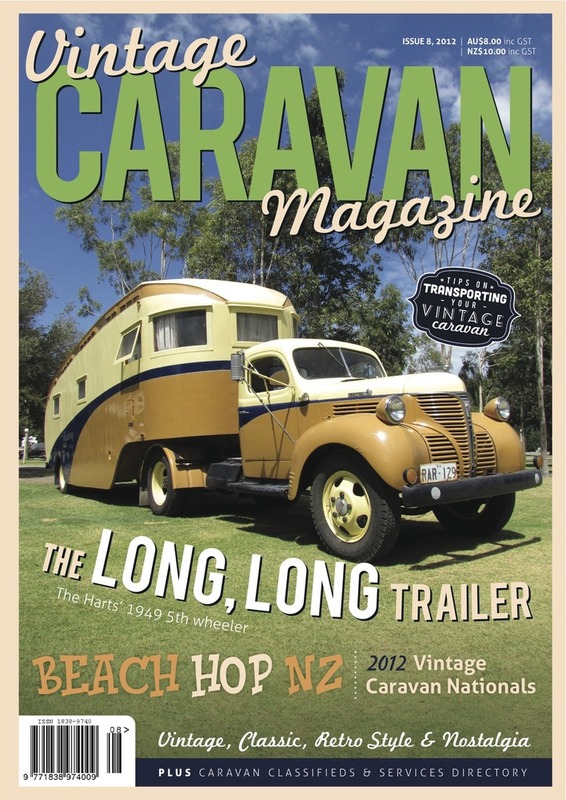 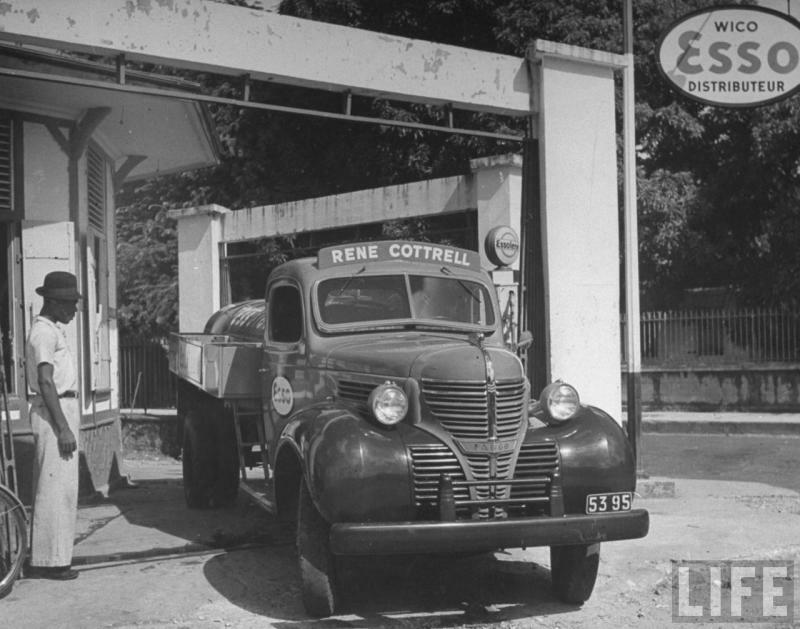 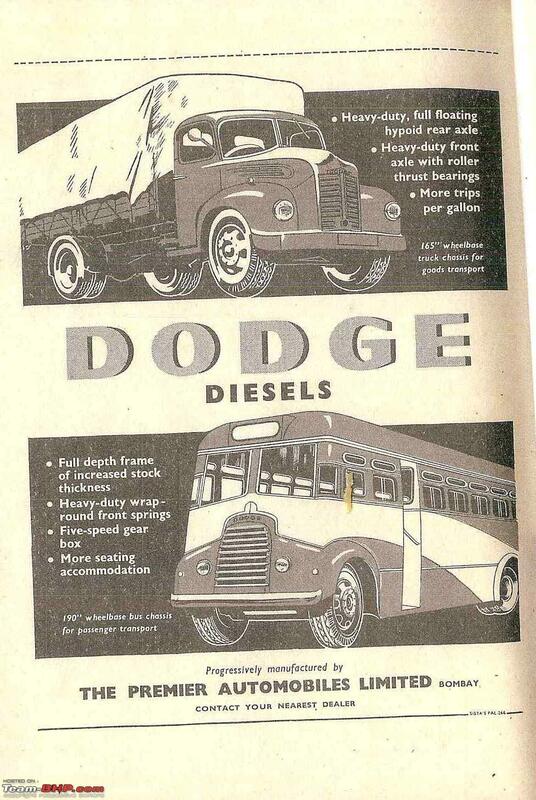 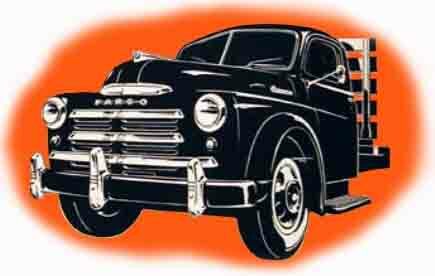 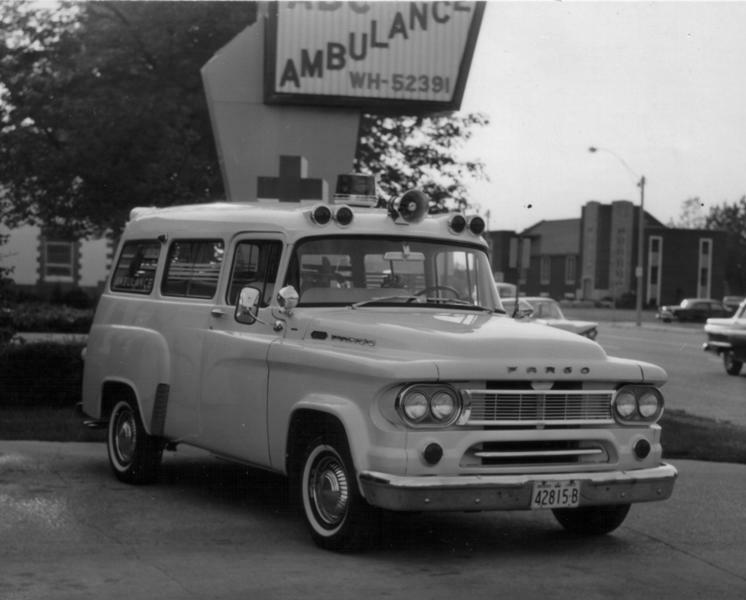 Most were sold also under the Dodge, Commer or DeSoto names. 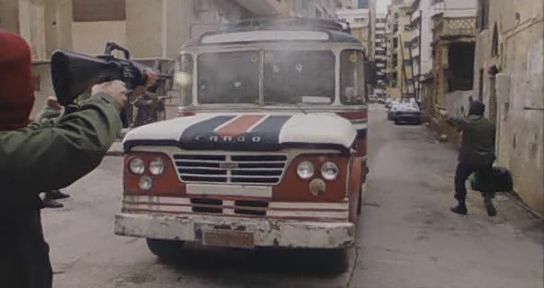 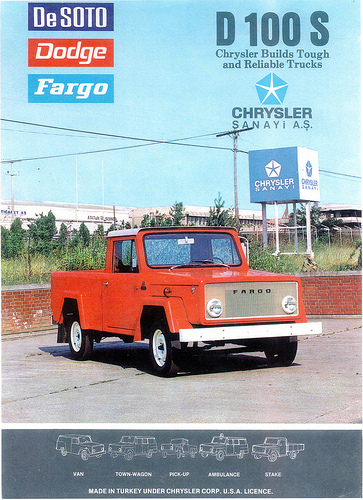 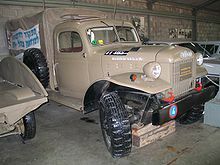 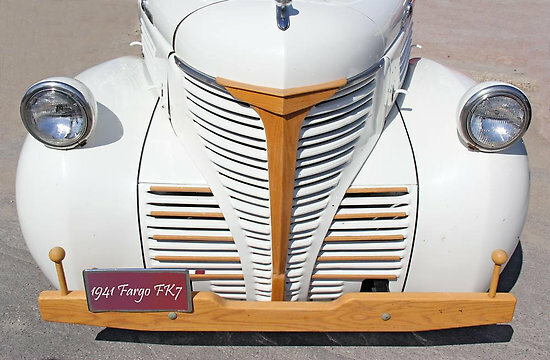 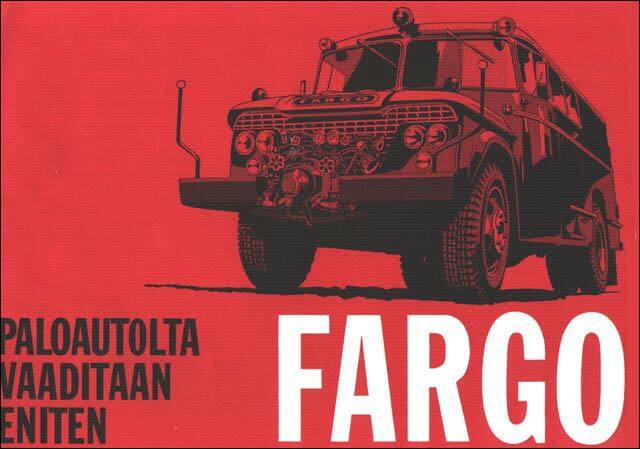 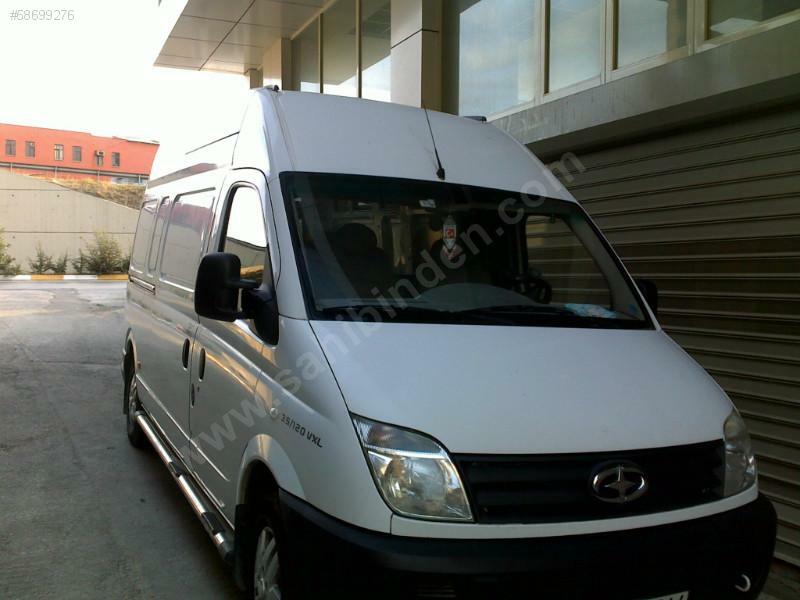 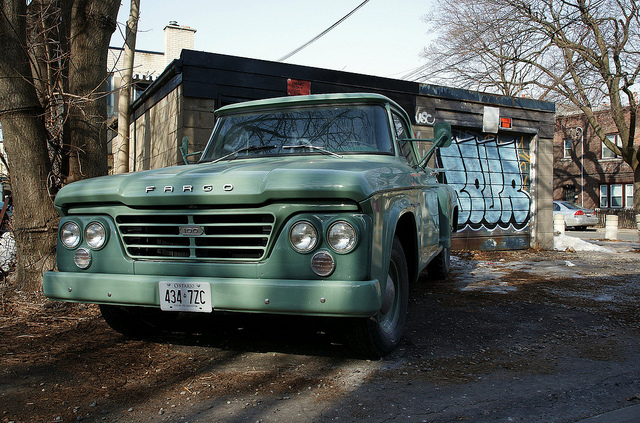 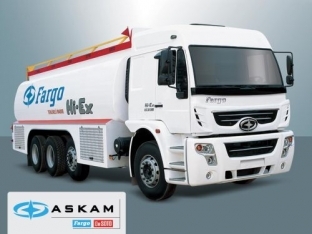 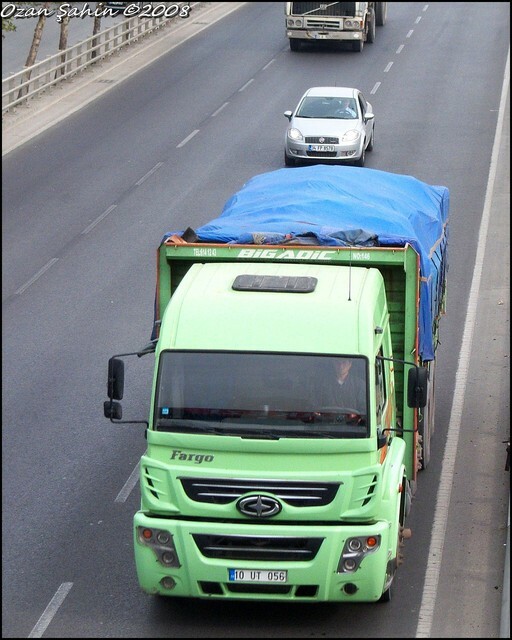 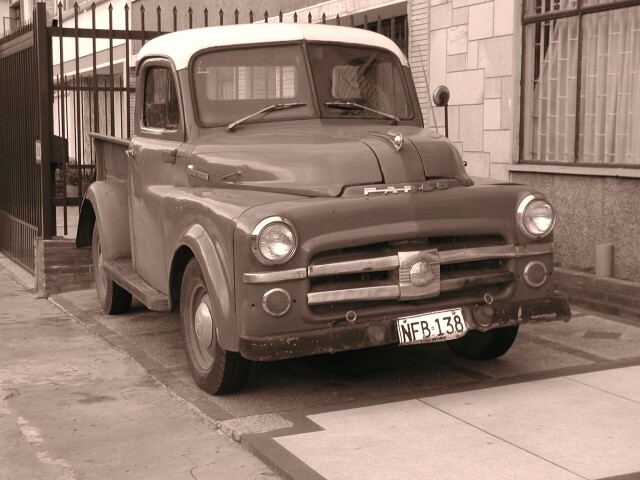 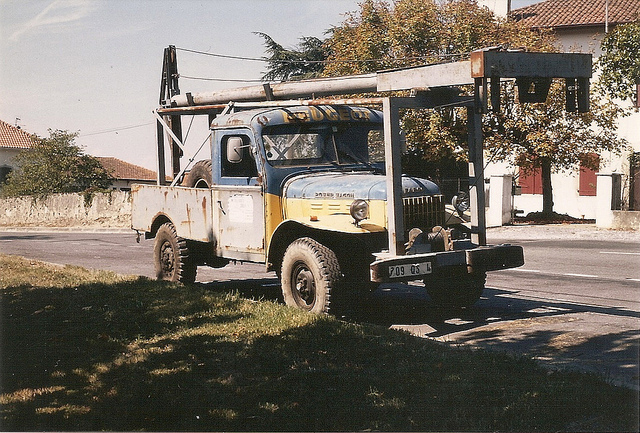 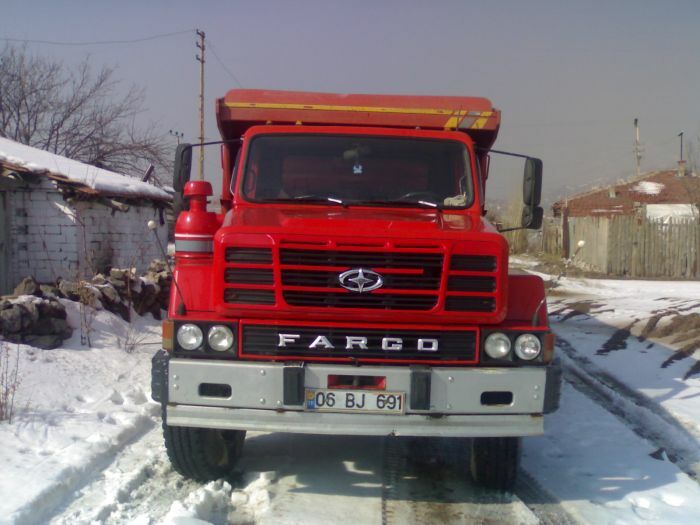 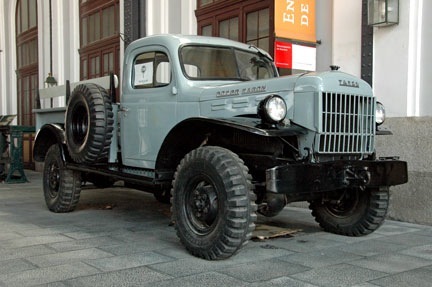 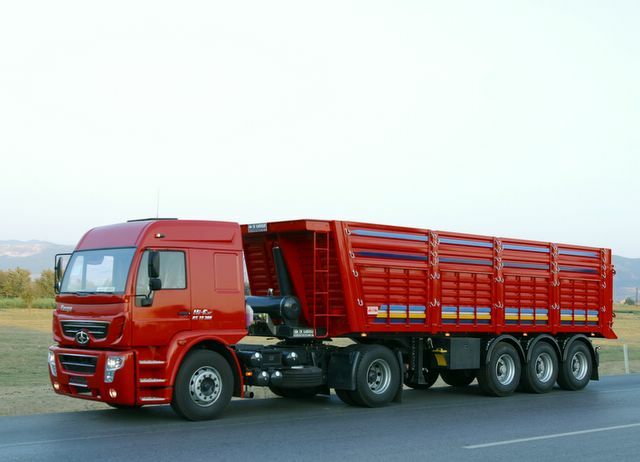 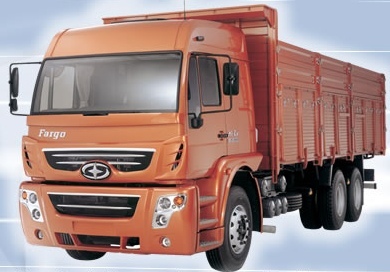 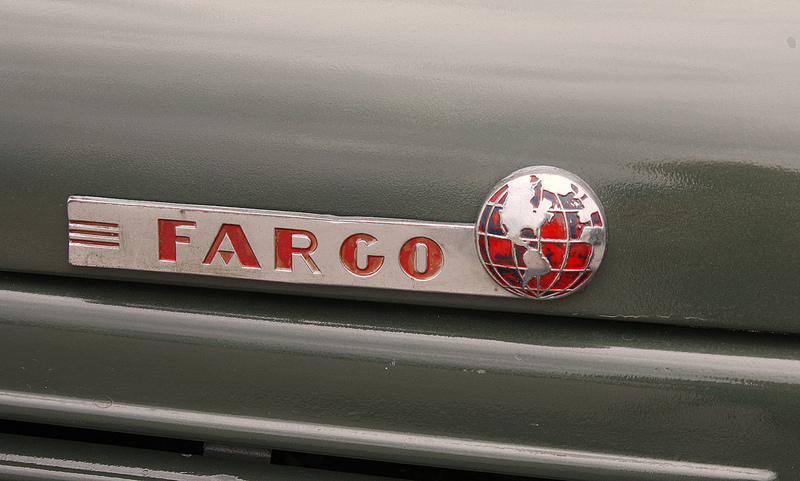 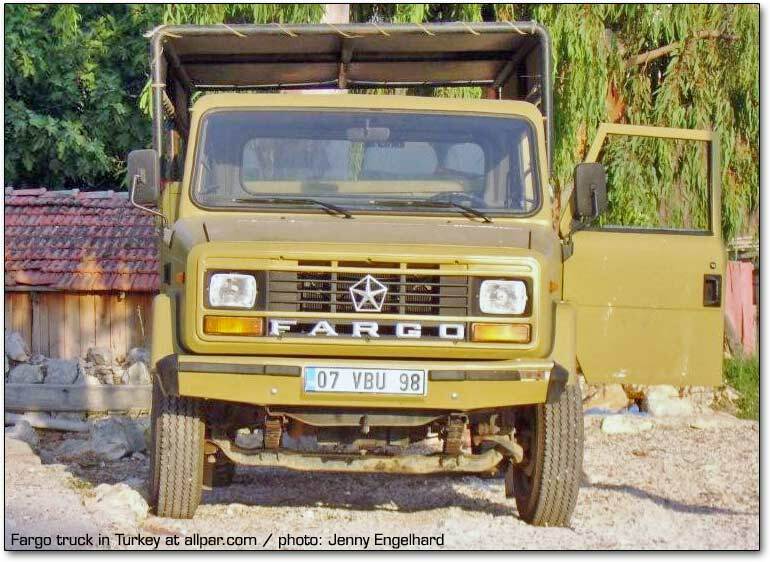 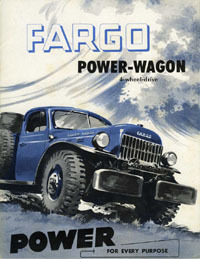 The Fargo brand still exists in Turkey, where Fargo and DeSoto trucks are currently made by Turkish manufacturer Askam, with no technical or business connection with Chrysler.